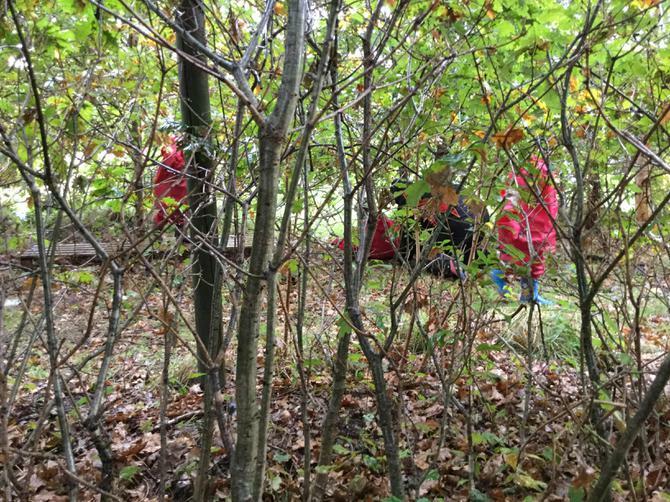 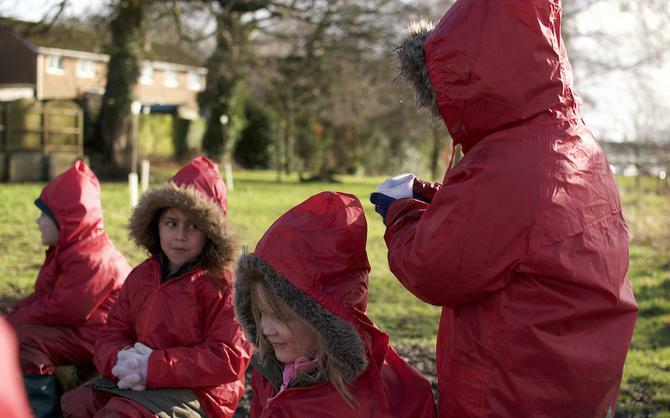 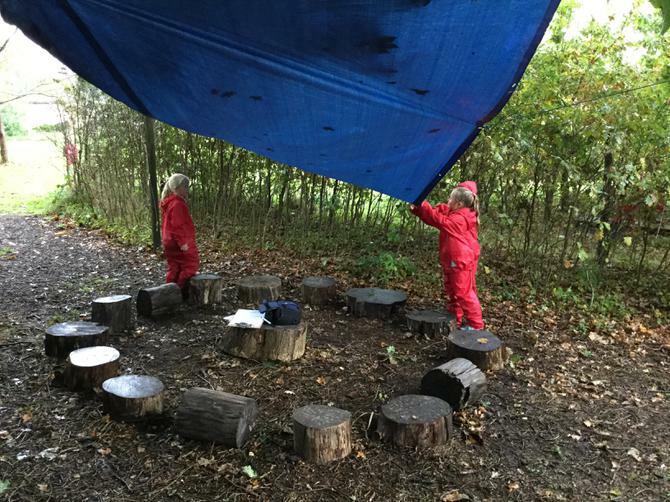 Group 3 explored the Forest School site and talked about the rules that help to keep us safe when playing and learning outside. 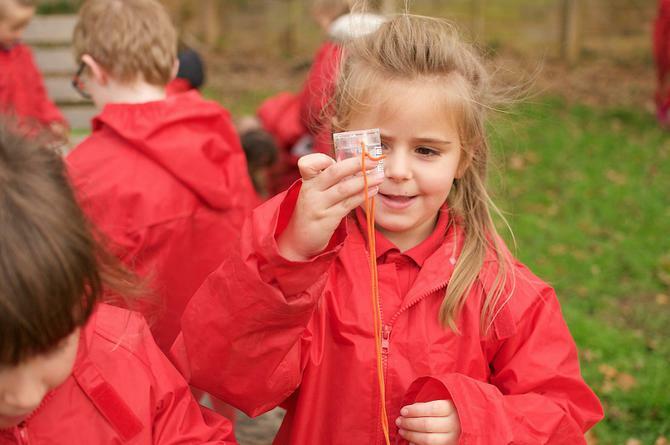 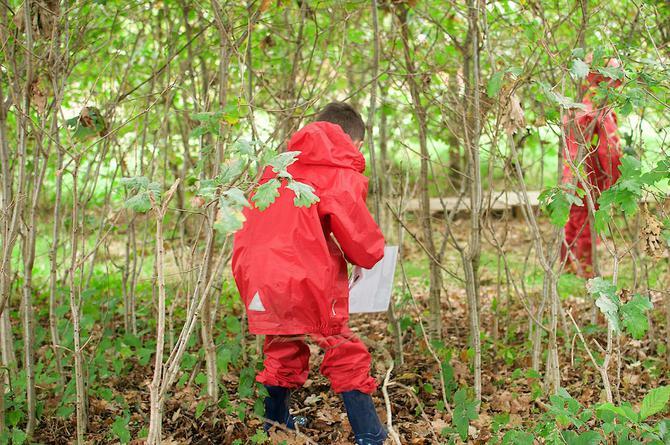 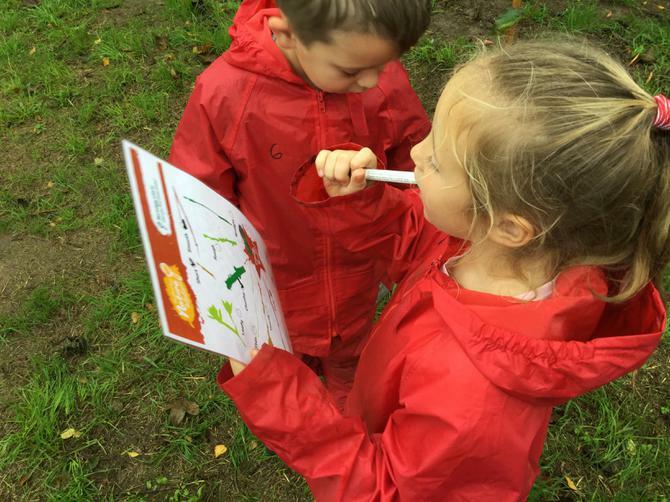 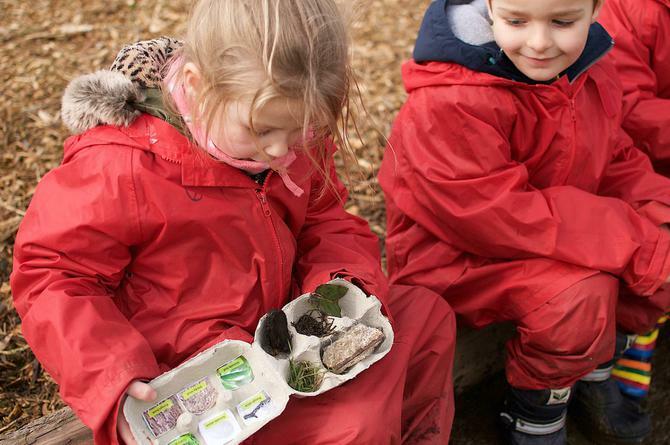 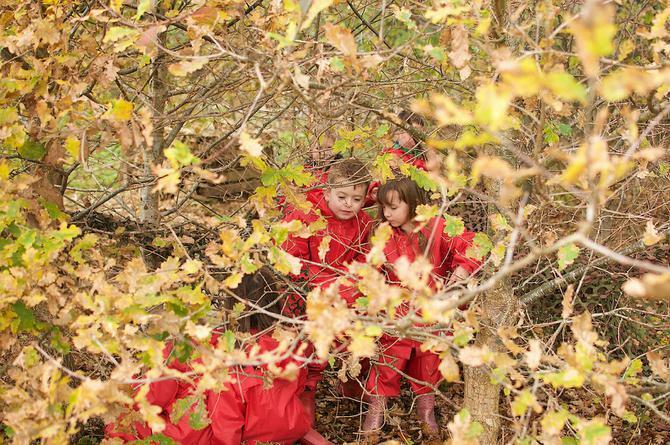 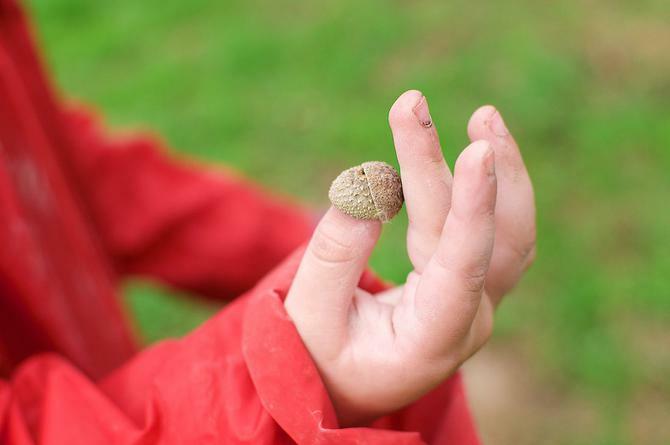 Today the children explored the natural world using their senses, playing games and taking part in a texture themed scavenger hunt. 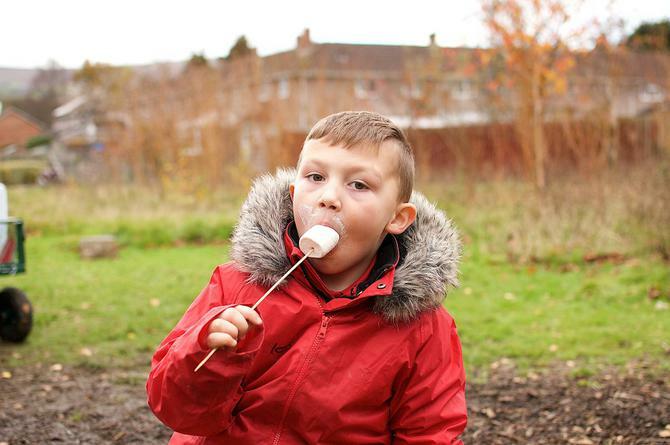 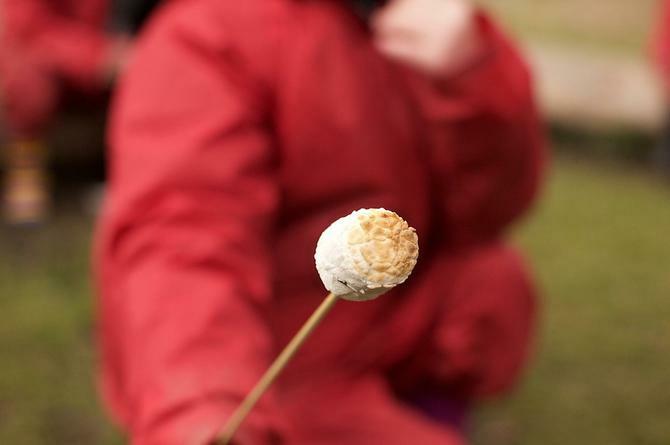 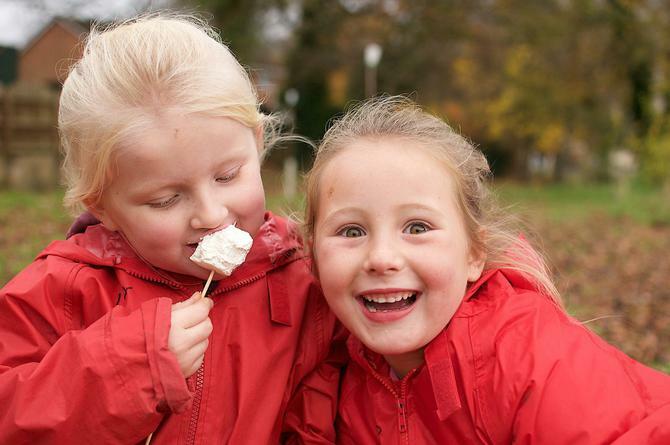 We saved the best of our five senses until last...tasting toasted marshmallows! 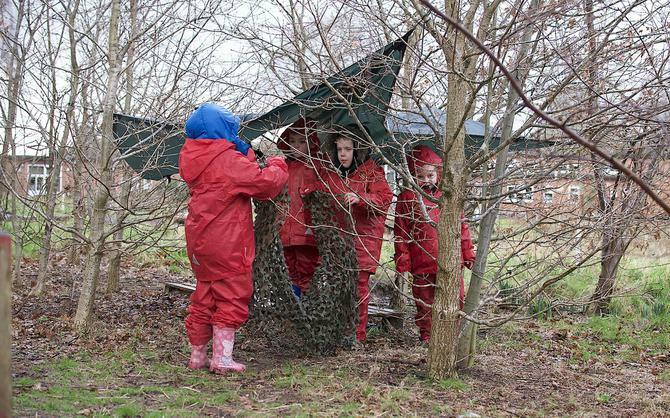 Today Group 2 built shelters to protect us from the weather - and we really did need them too! 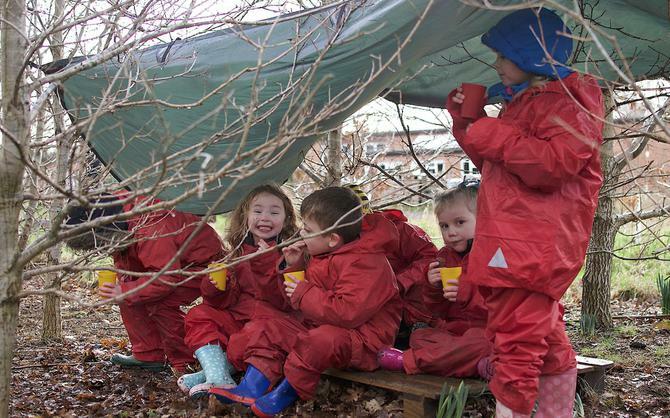 After some fantastic work, it seemed only right to enjoy some hot chocolate, hidden from the rain. 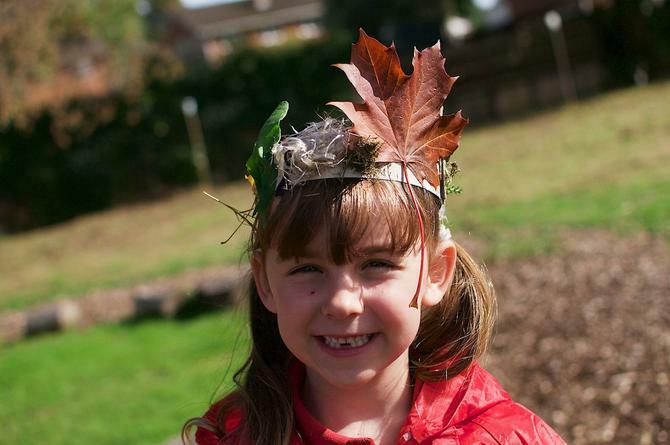 Group 2 spent the afternoon taking part in a leaf pile race and building twig crowns! 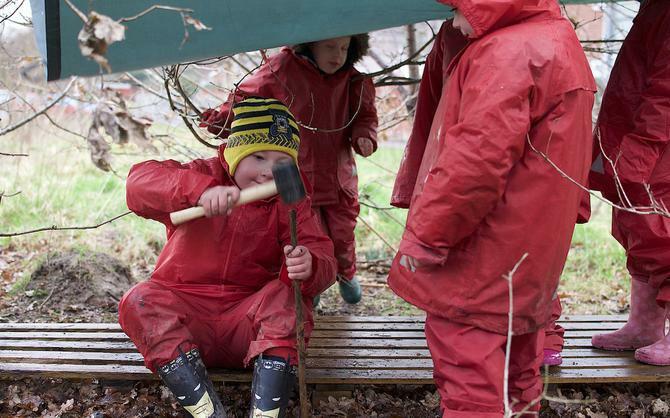 Group 1's last session combined lots of work and play in the great outdoors! 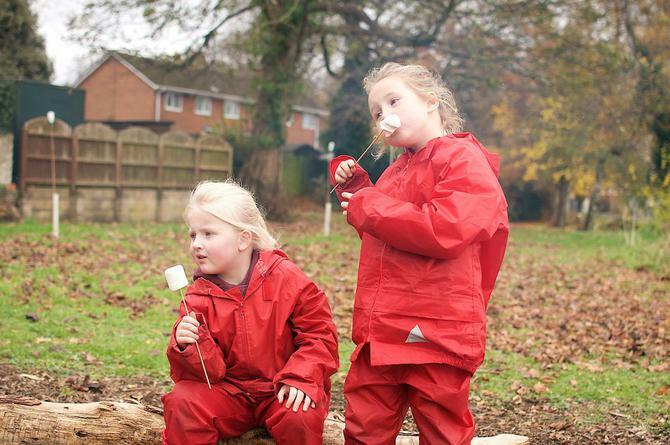 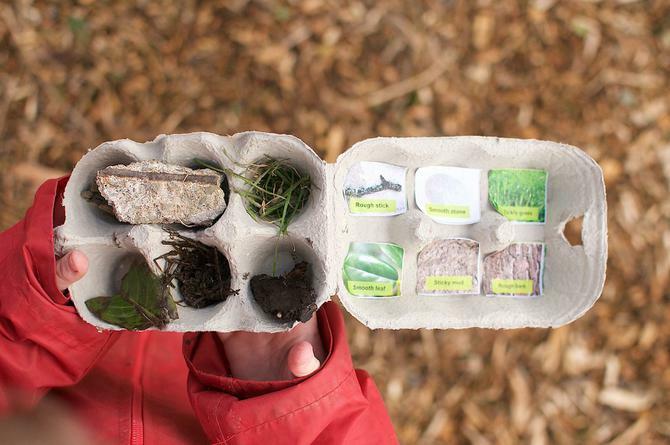 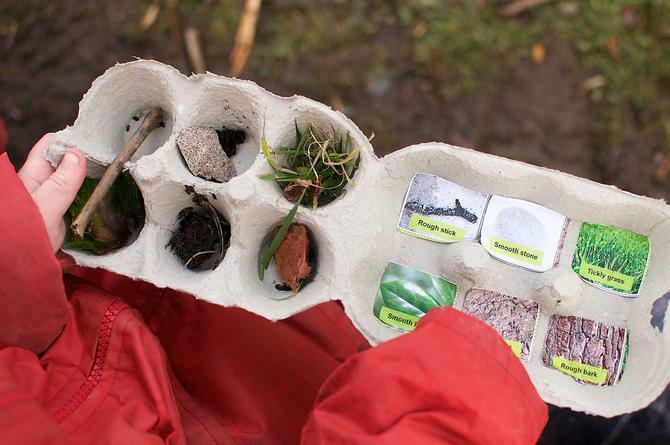 Bug house building, hide and seek, fire starting, toasted marshmallows and hot chocolate. 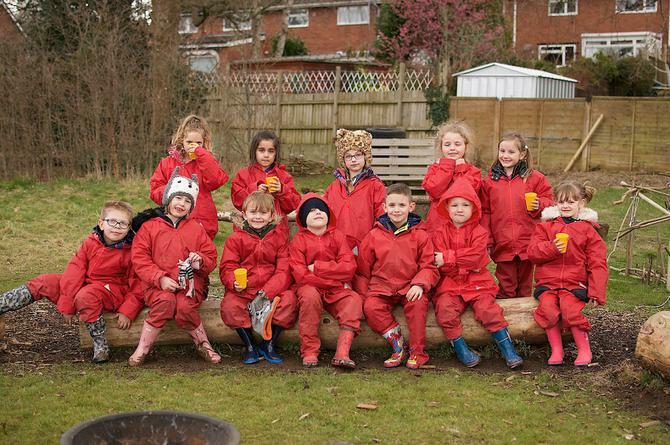 Well done to you all for all the effort you have shown over the last seven weeks. 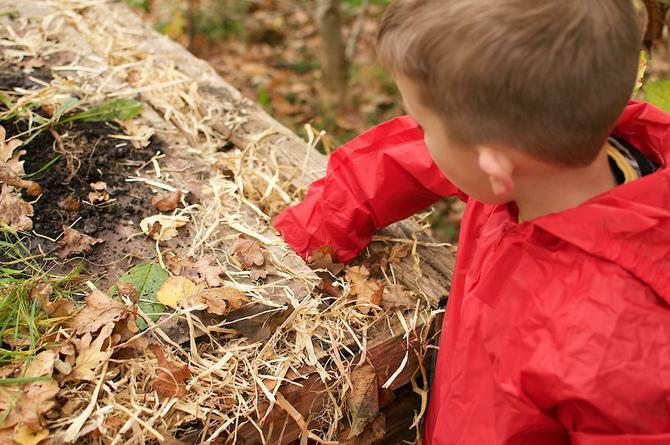 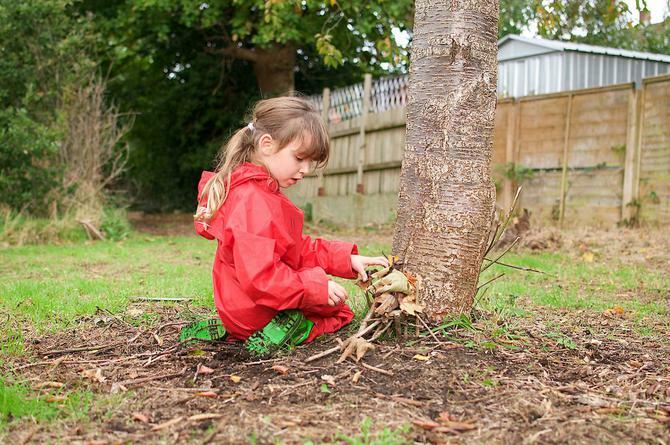 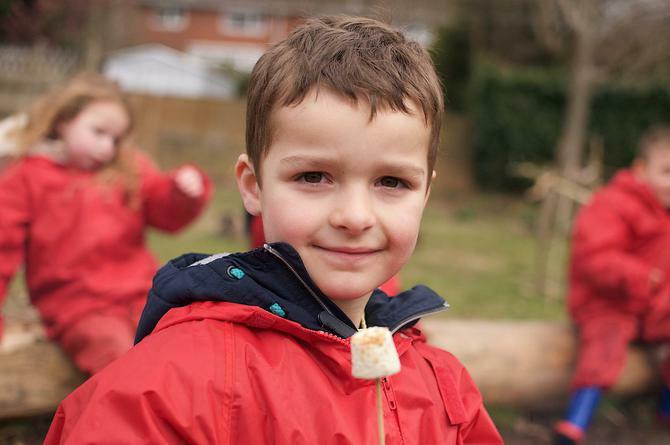 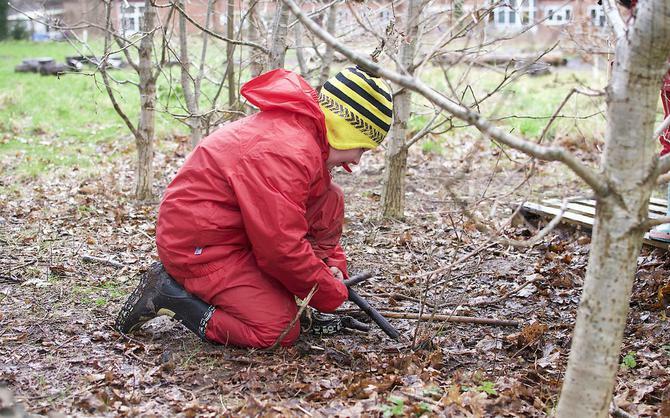 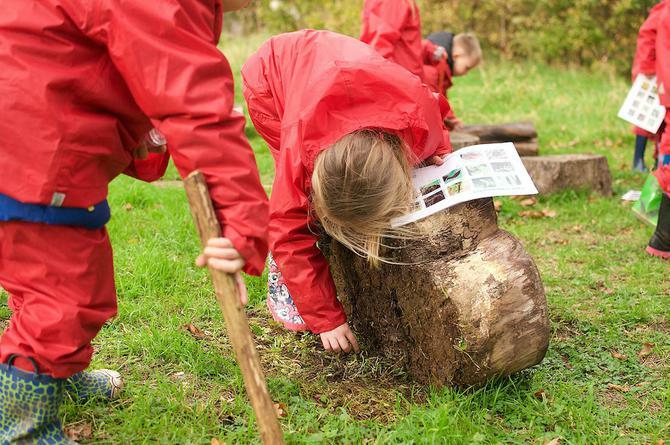 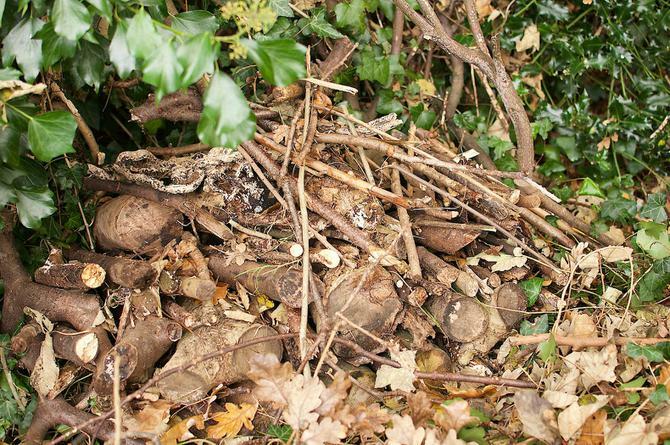 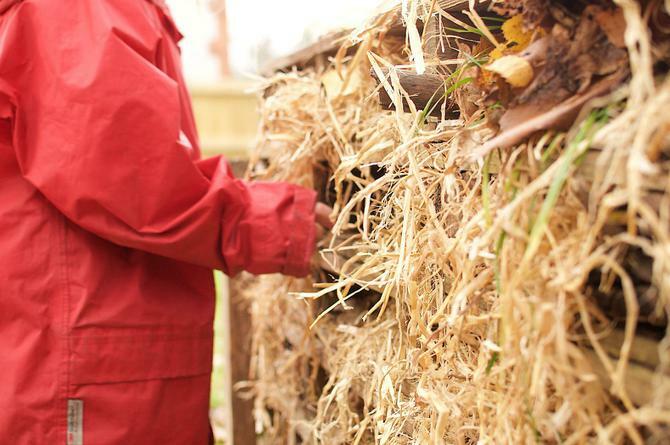 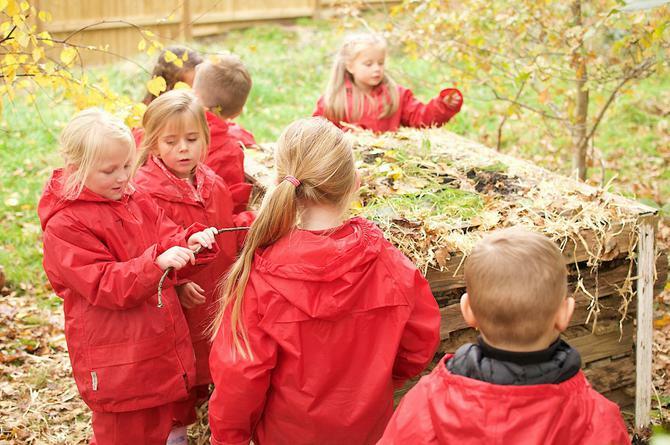 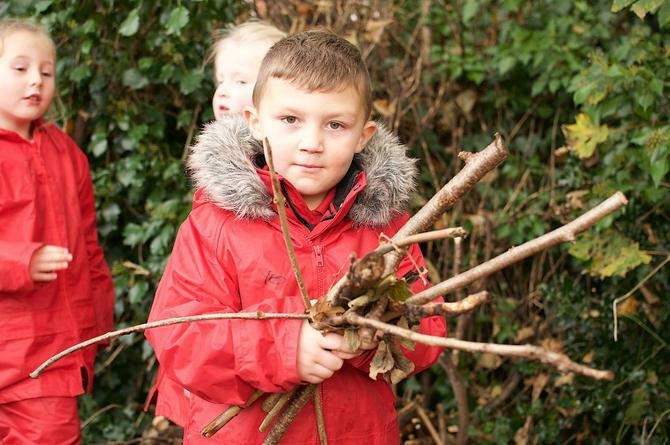 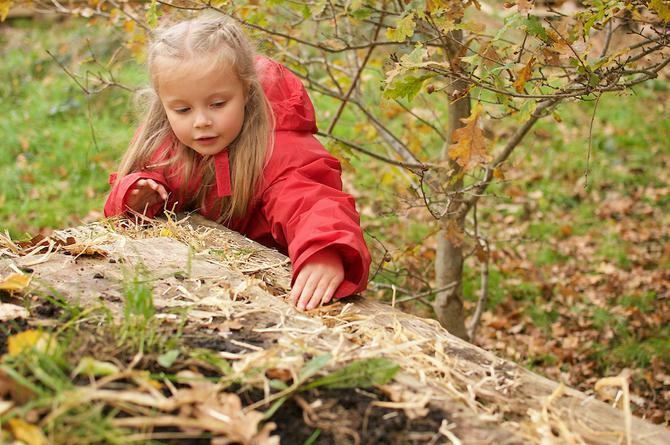 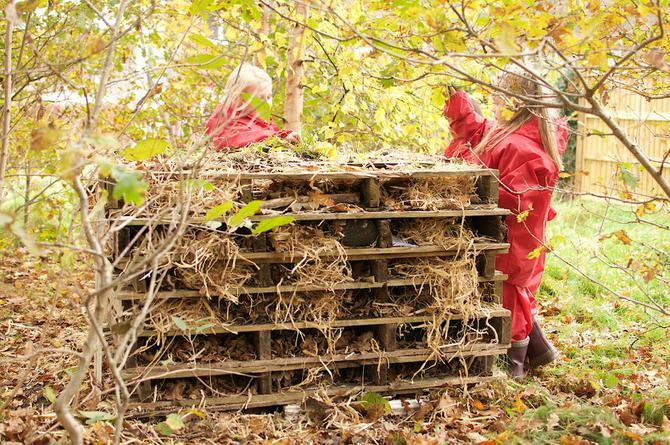 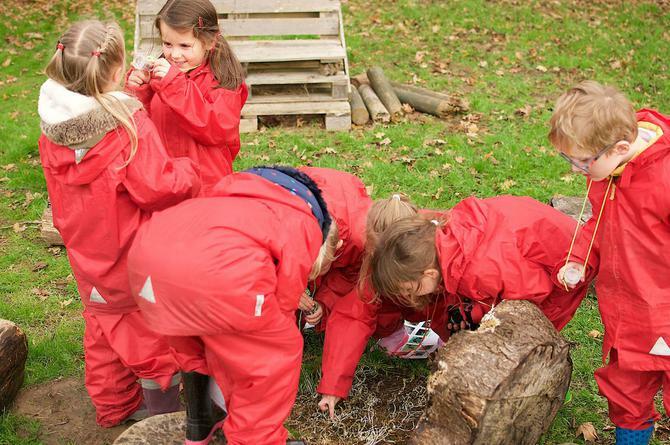 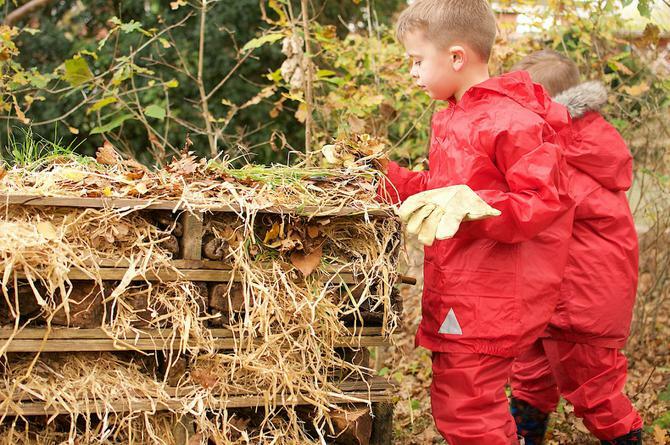 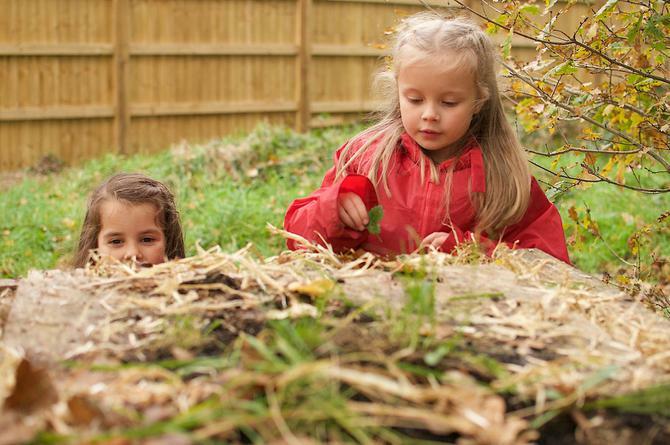 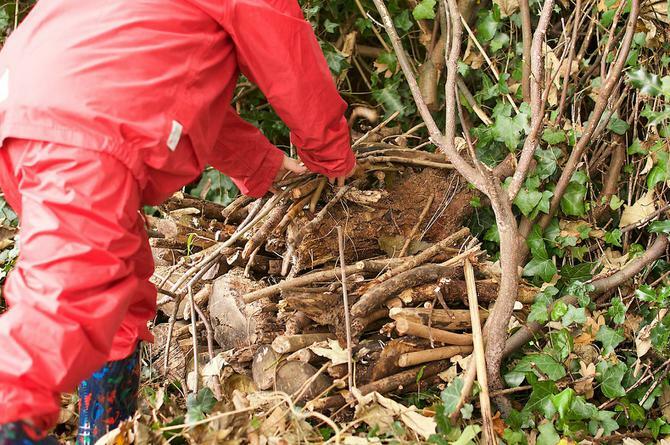 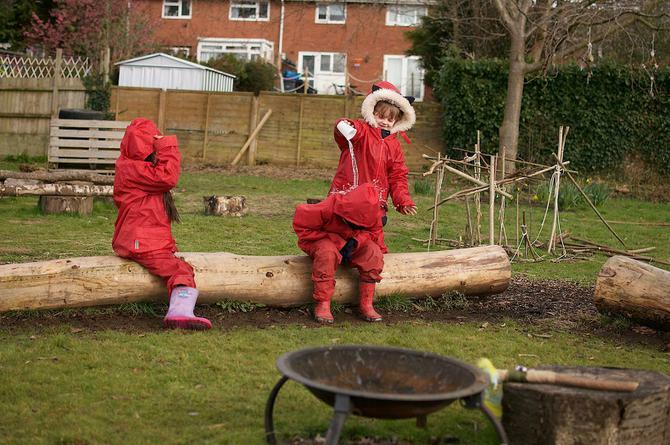 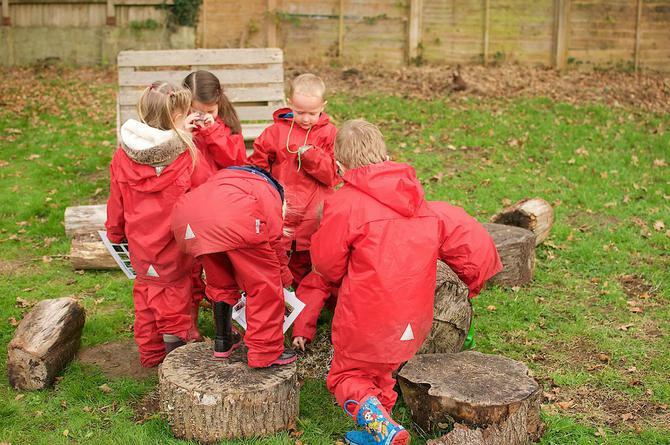 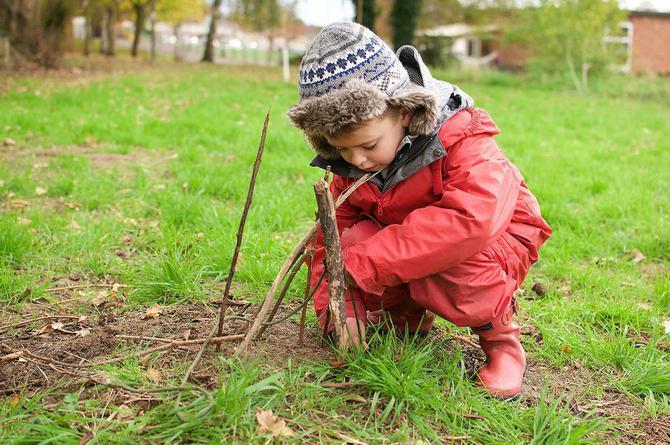 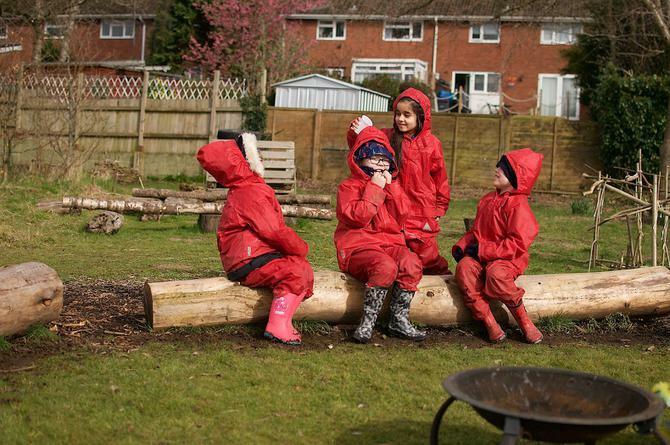 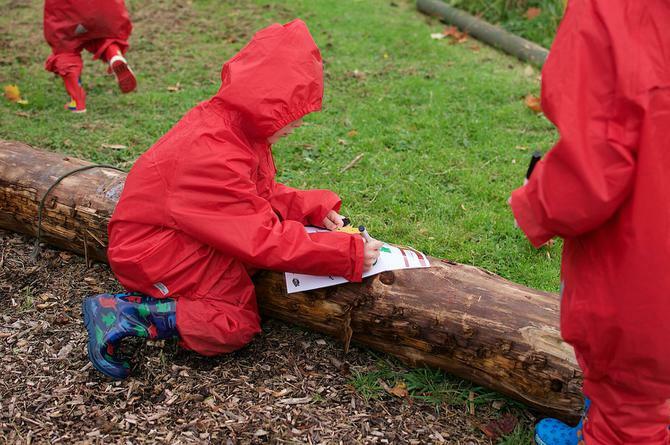 This week we went on a Mini-beast hunt and built a log pile habitat for our new friends. 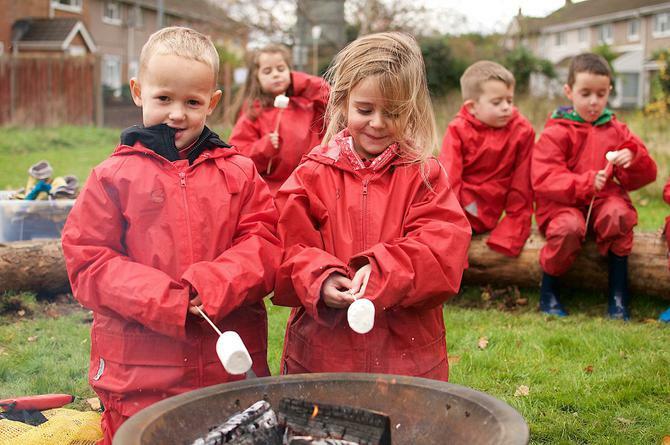 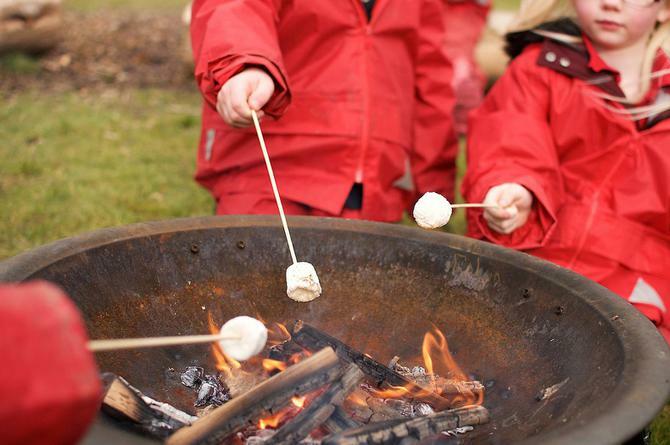 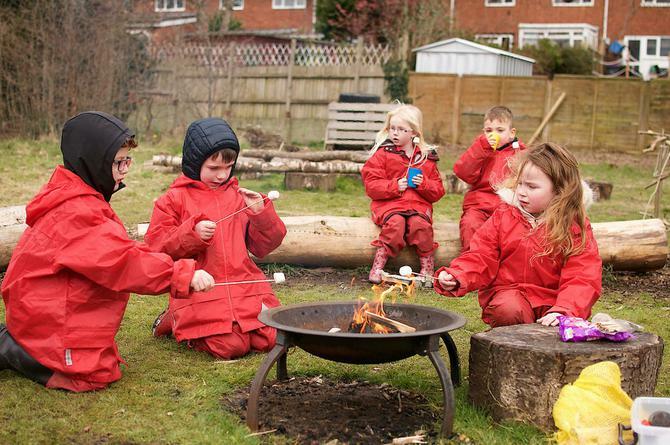 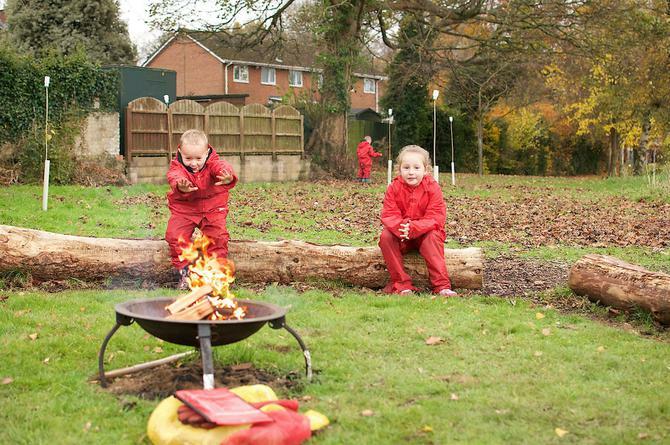 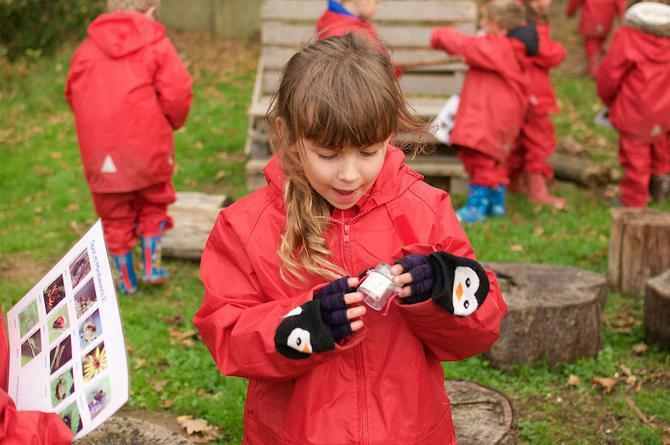 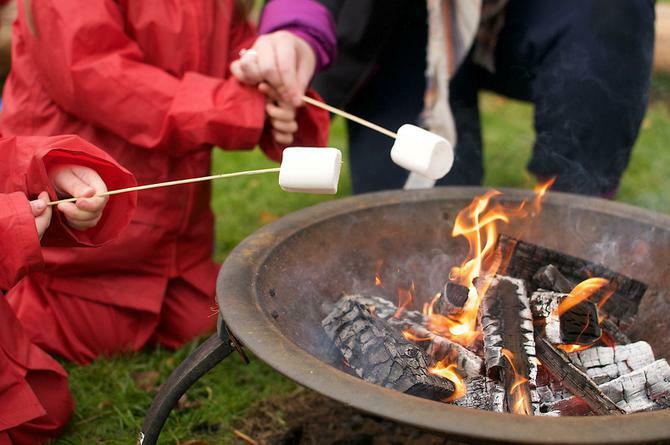 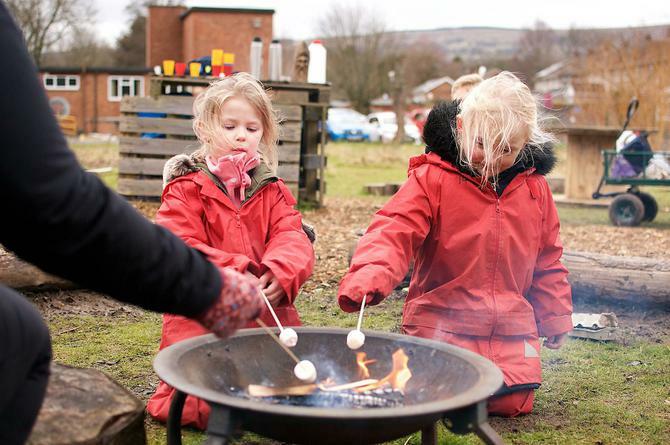 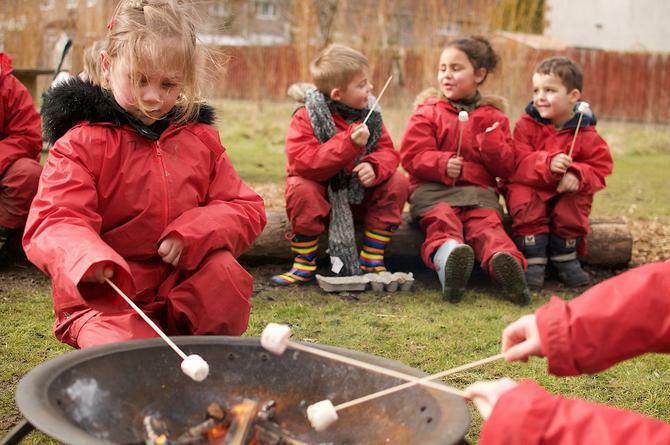 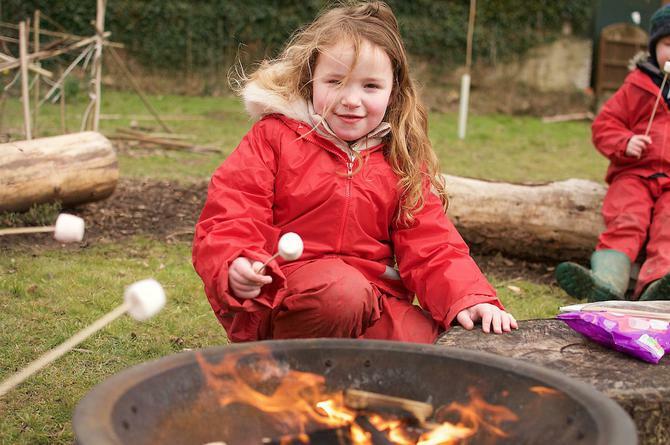 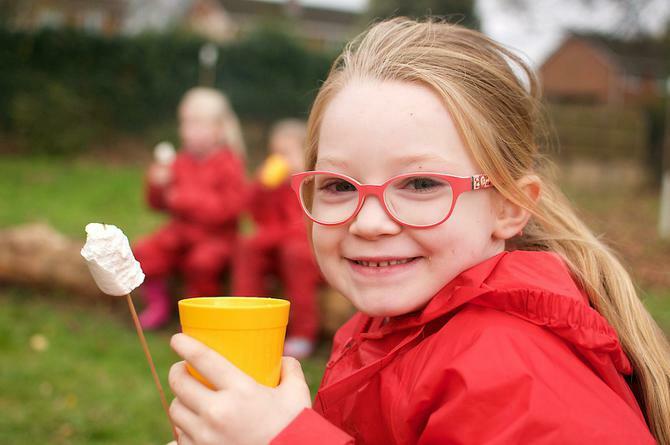 We also learnt how to light a fire to keep us warm when exploring outdoors, the hot chocolate and cookies help too! 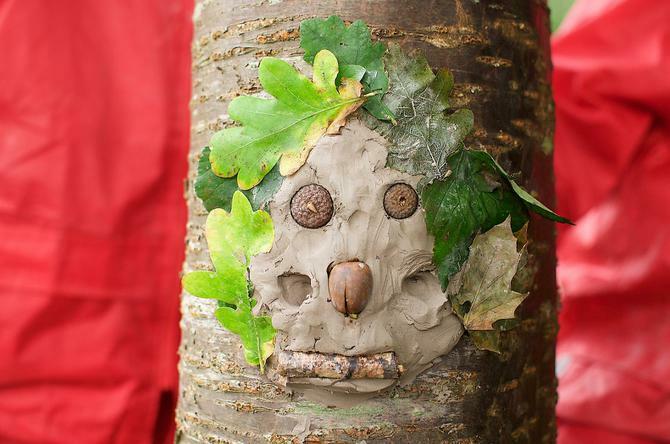 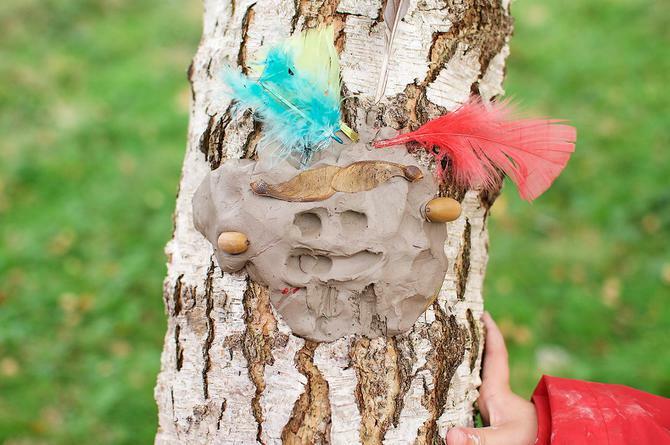 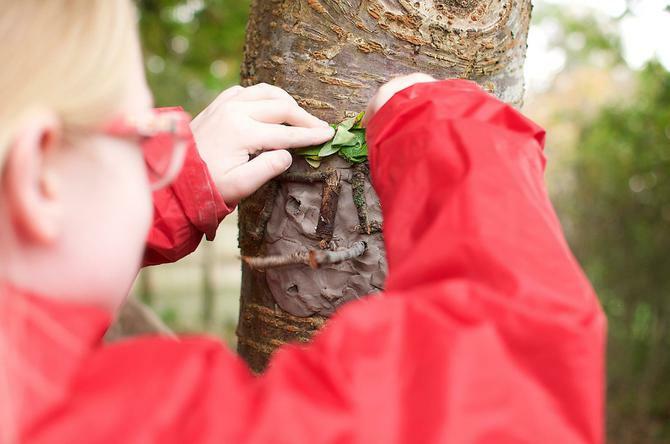 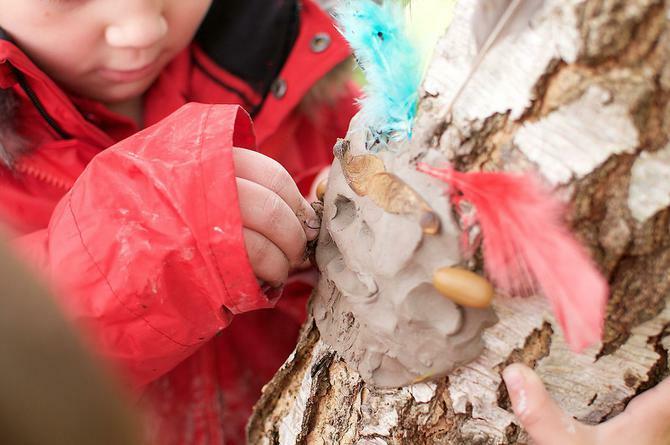 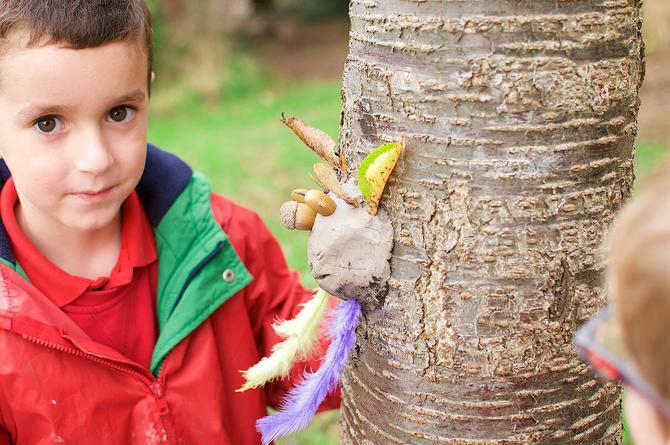 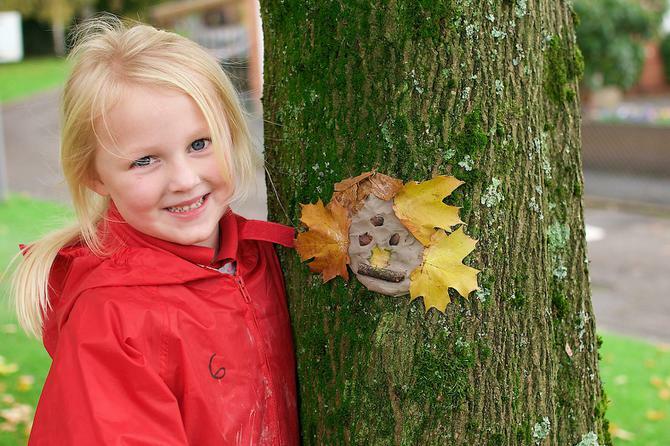 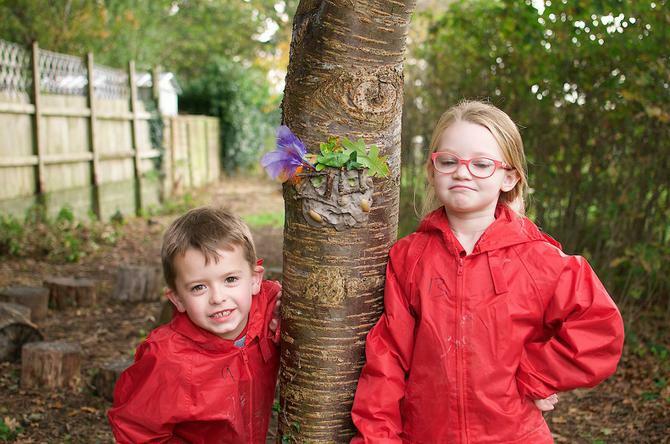 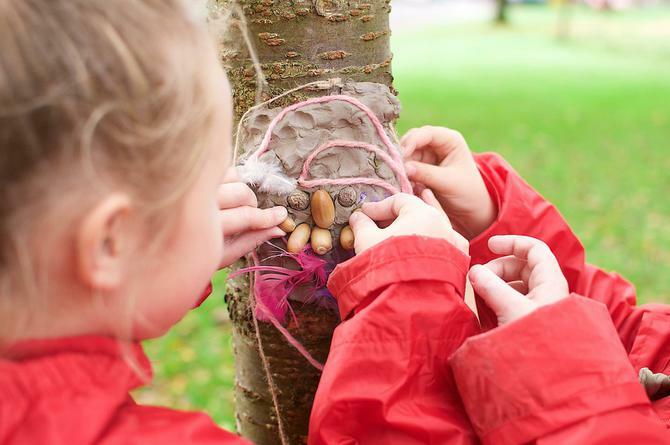 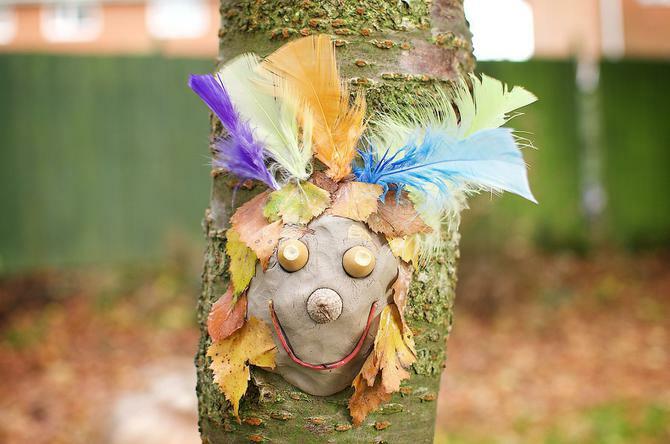 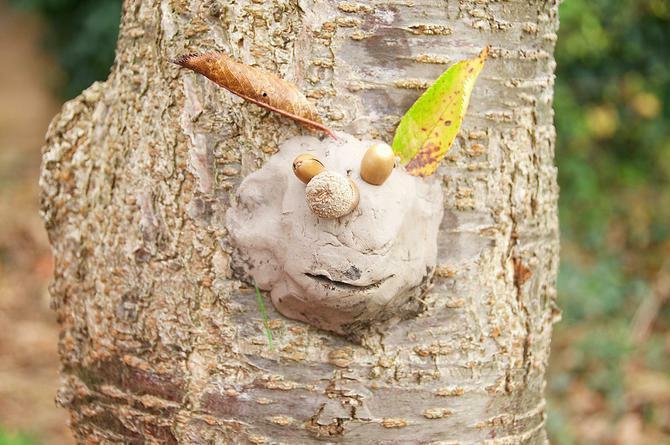 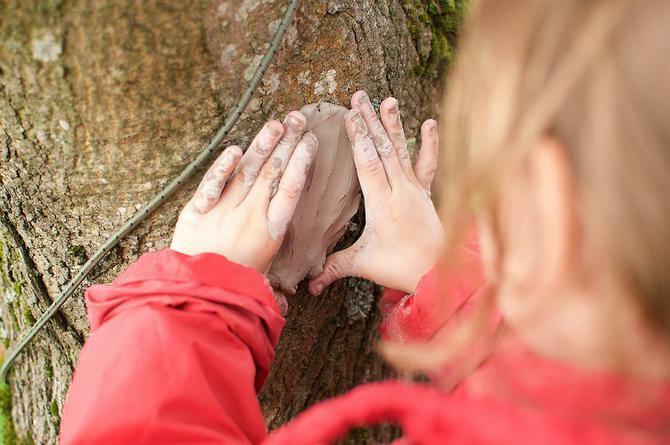 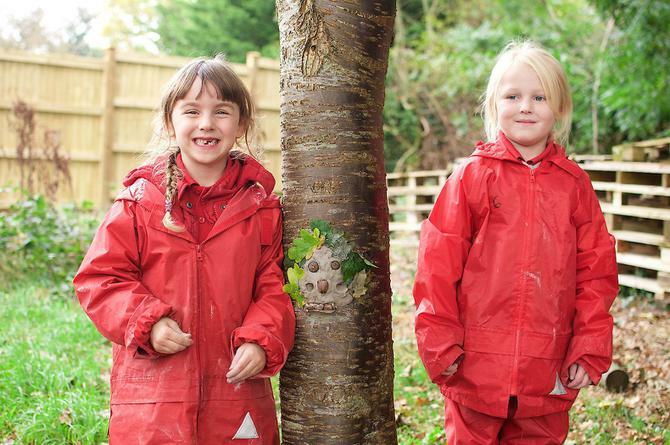 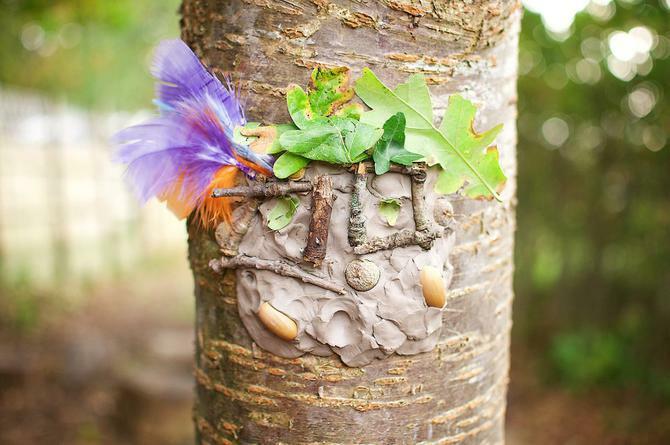 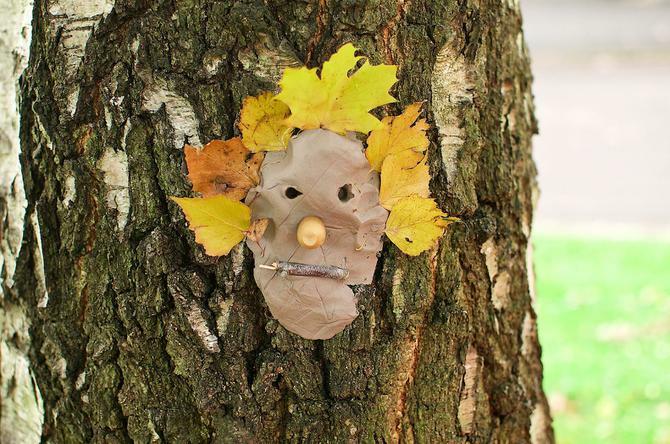 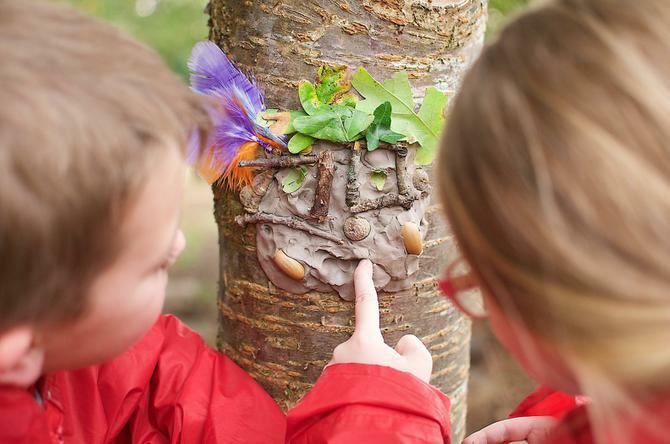 This week our Forest School adventurers sculpted their own woodland tree spirits and decorated them with natural materials. 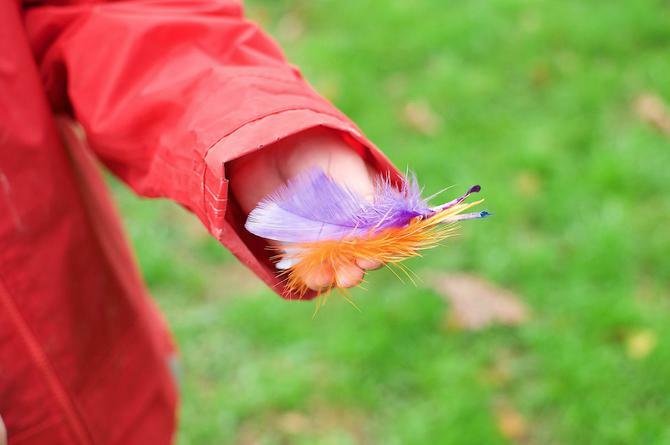 We had beautifully coloured leaves, acorns and sticks at our disposal, and luckily for us a flock of migrating parrots must have flown over the school and left us some colourful feathers that we put to good use too! 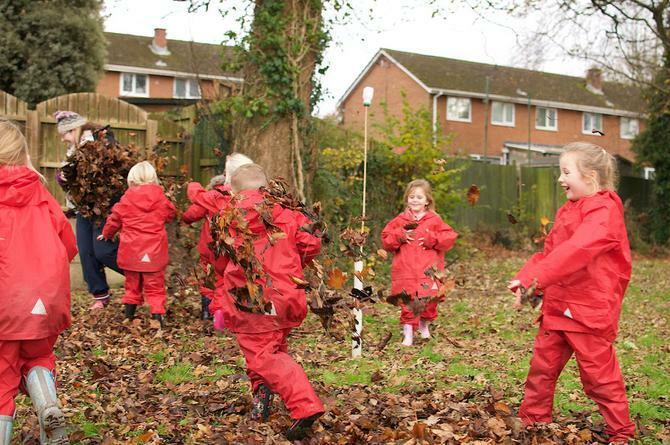 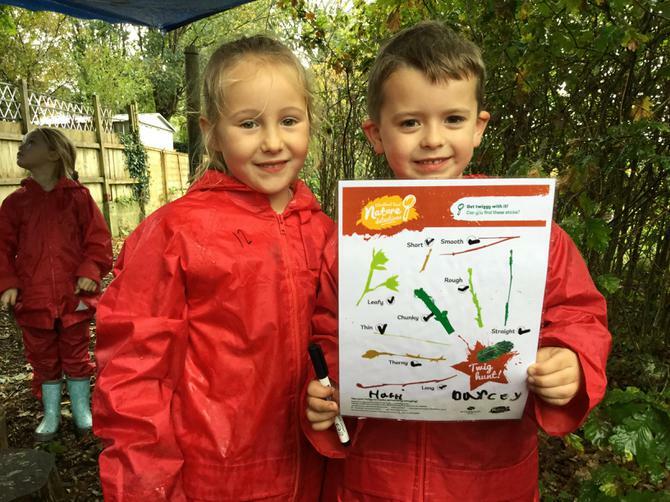 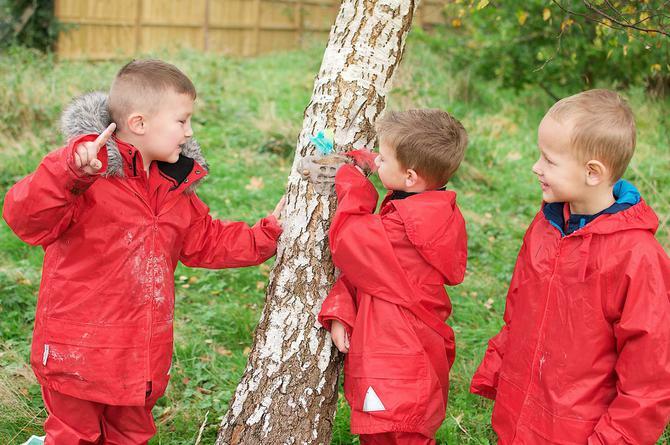 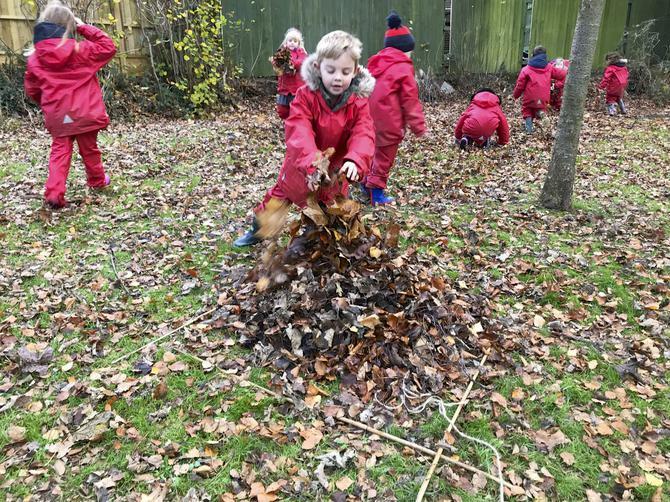 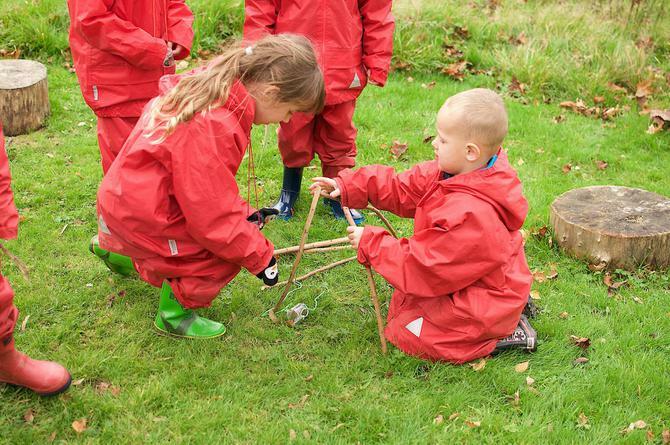 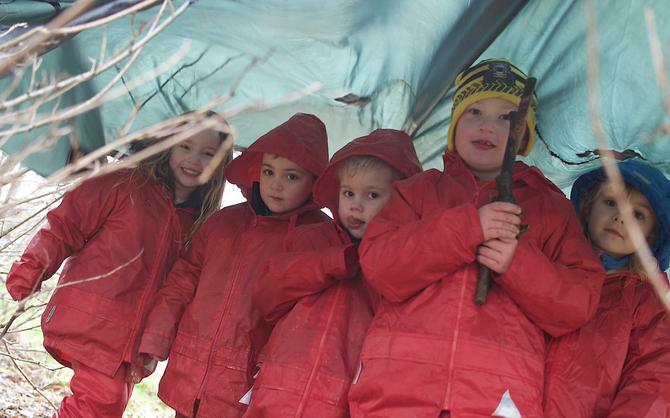 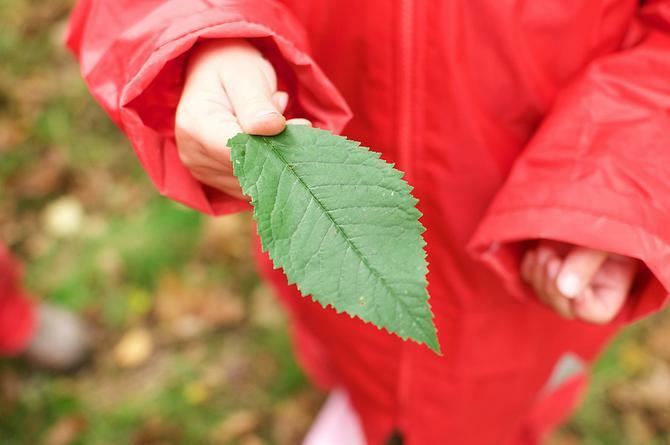 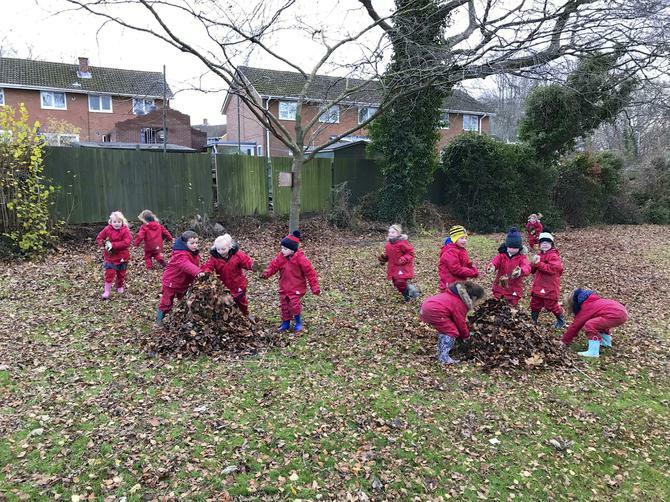 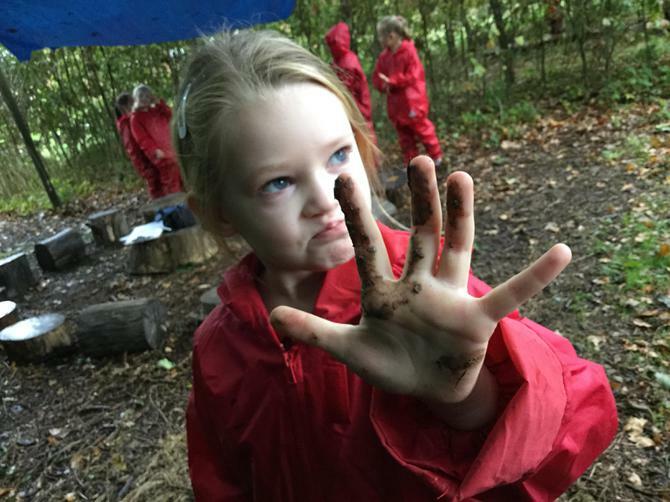 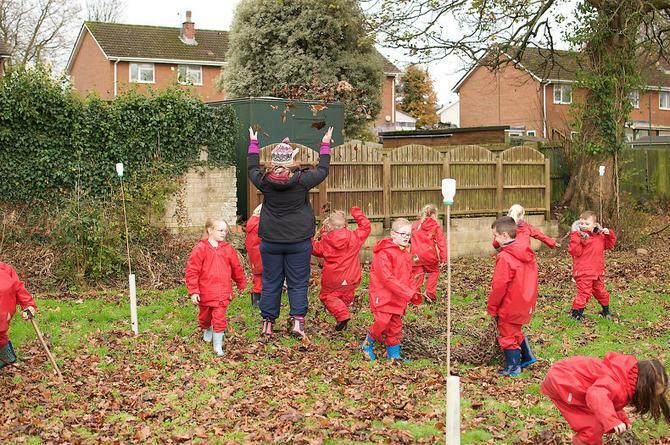 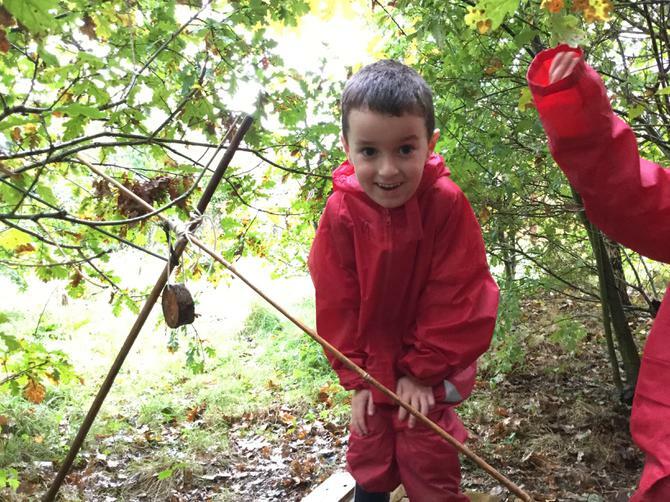 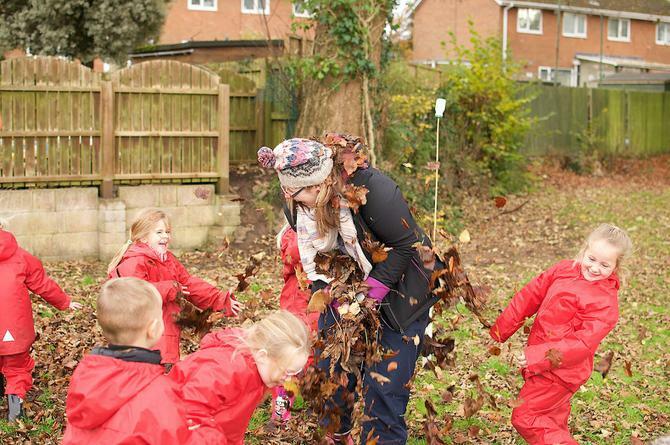 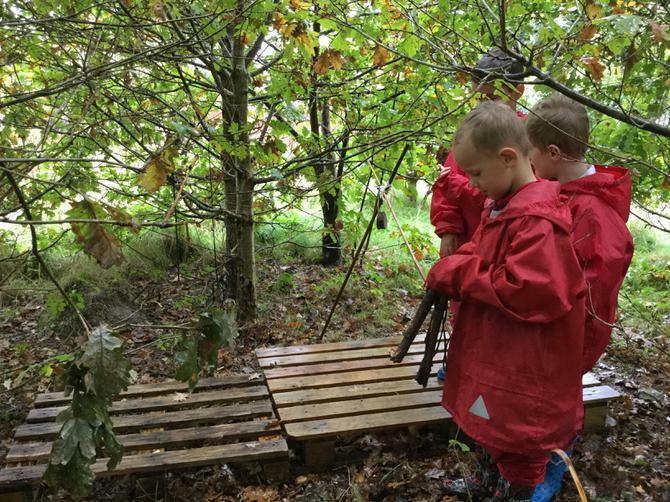 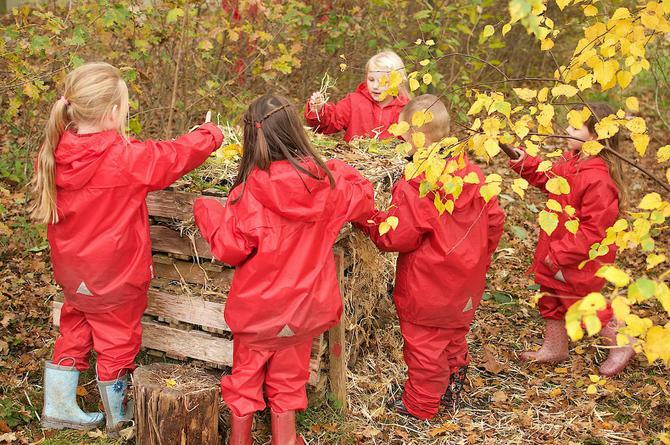 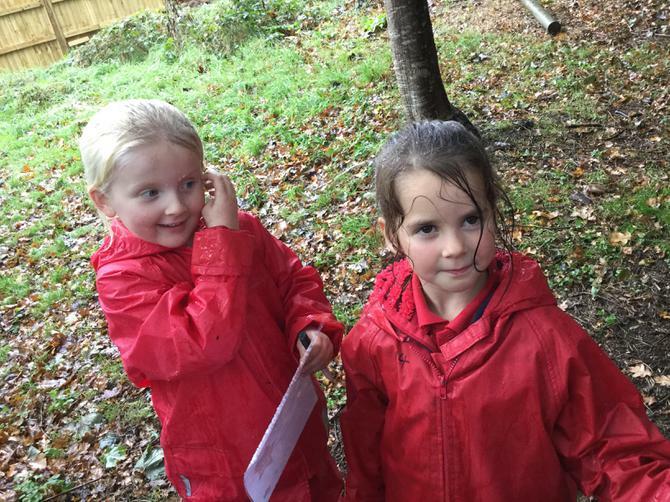 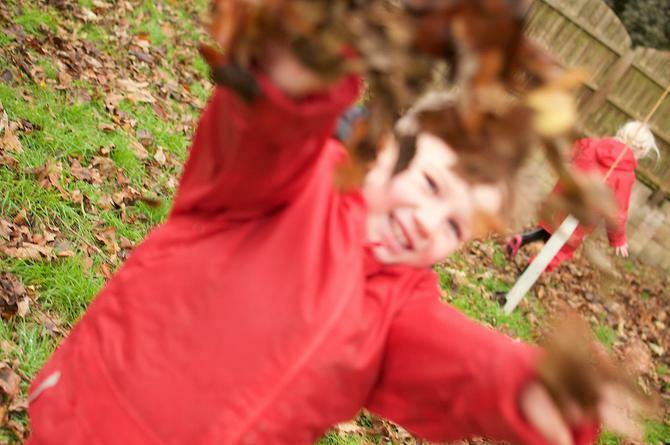 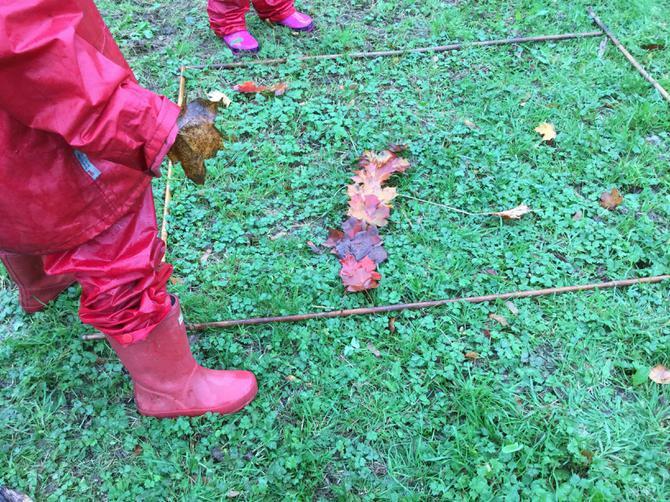 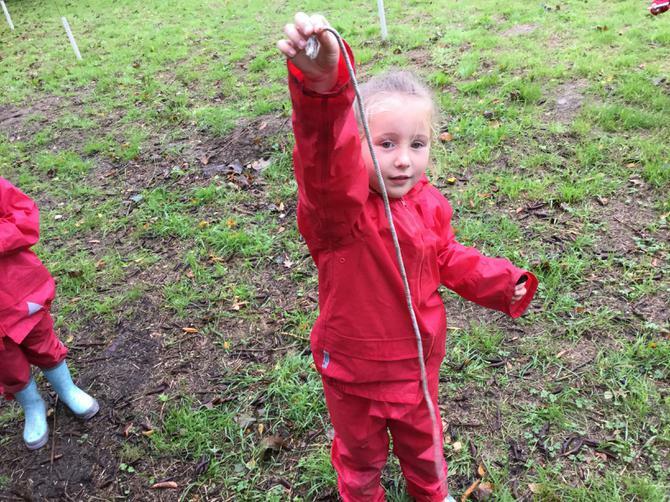 This week saw us braving the elements, we were wet and muddy but still got stuck right into our games and activities, including leaf art, a stick hunt and more elf houses, what a great day. 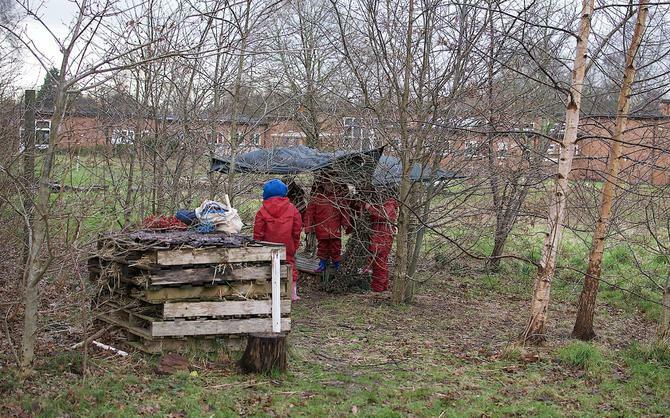 This week we set out to help our resident elves by creating some houses for them using natural materials. 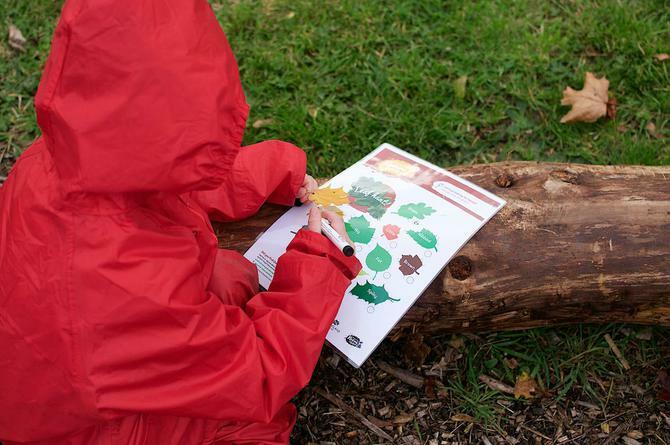 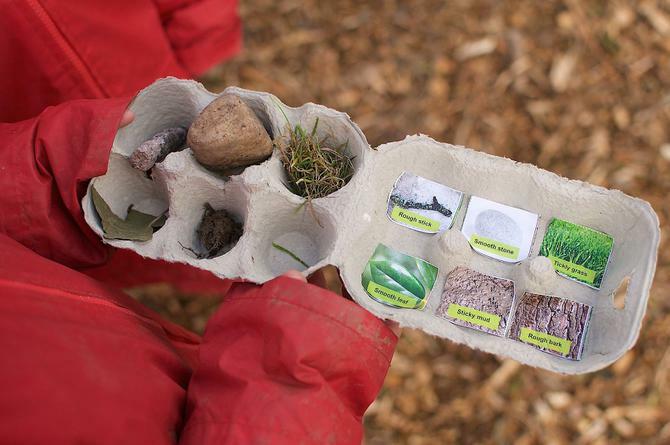 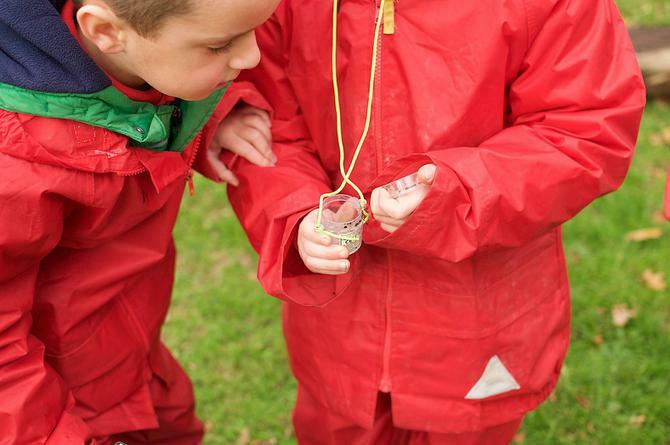 We also found time to install a new Ladybird house and identify different types of leaves too. 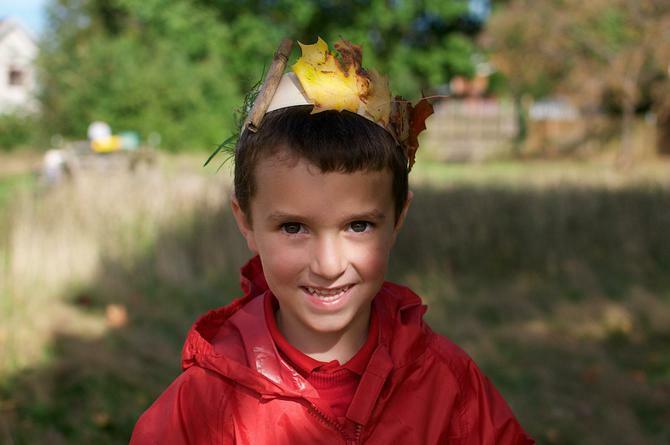 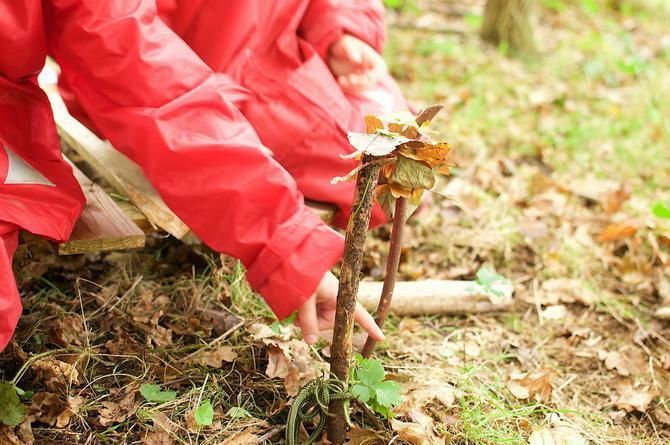 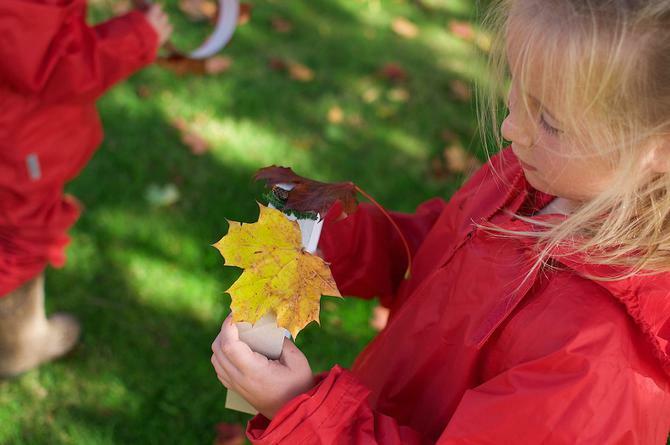 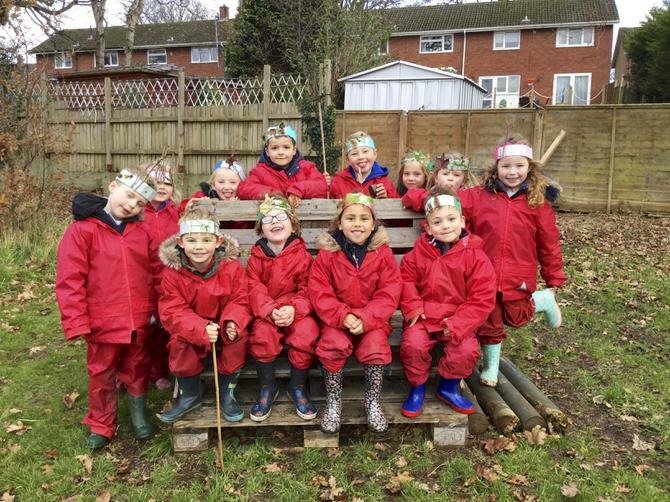 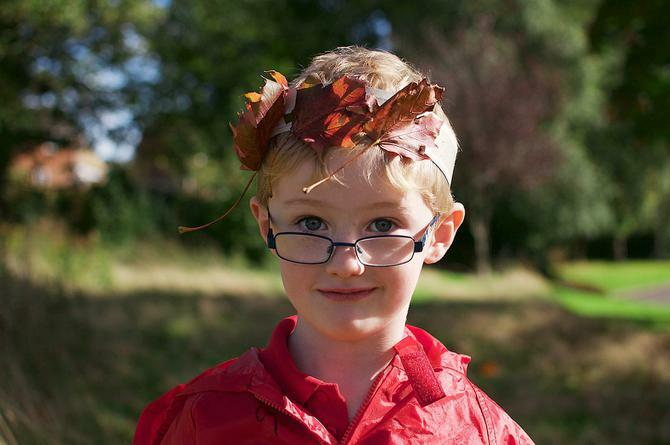 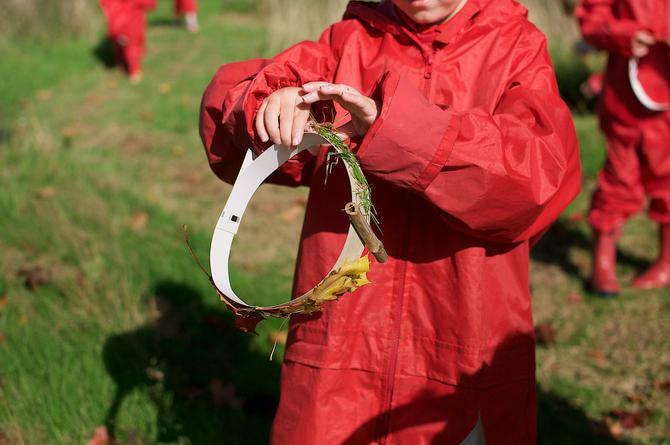 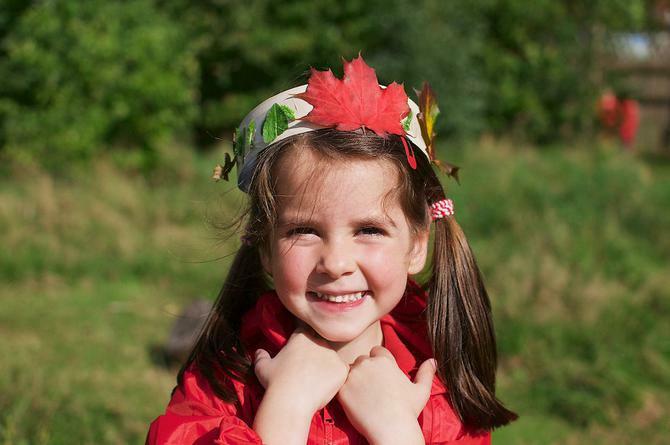 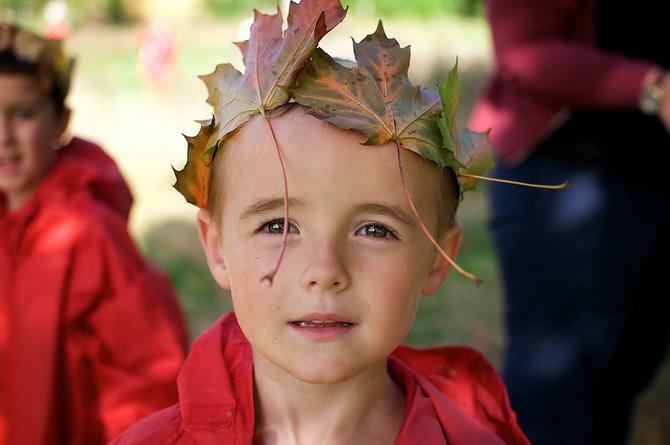 This week our adventurers set out to create their very own leaf crowns, becoming Kings and Queens of the forest school site! 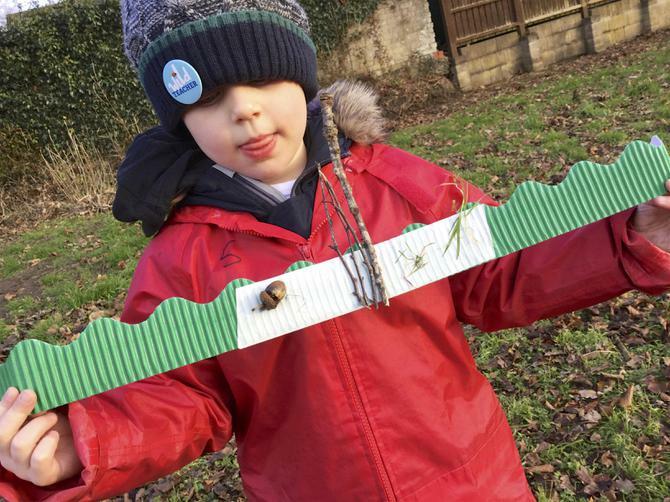 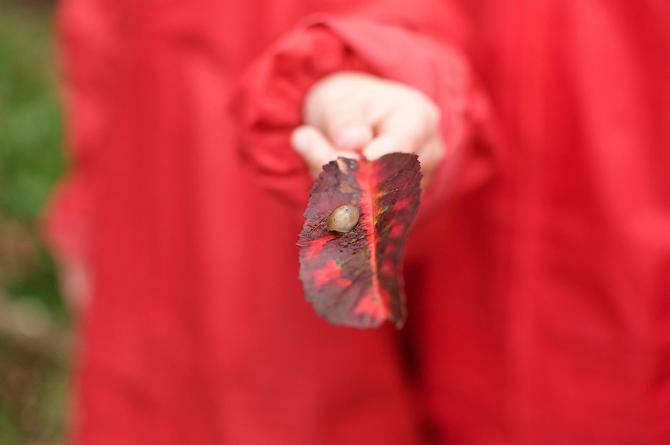 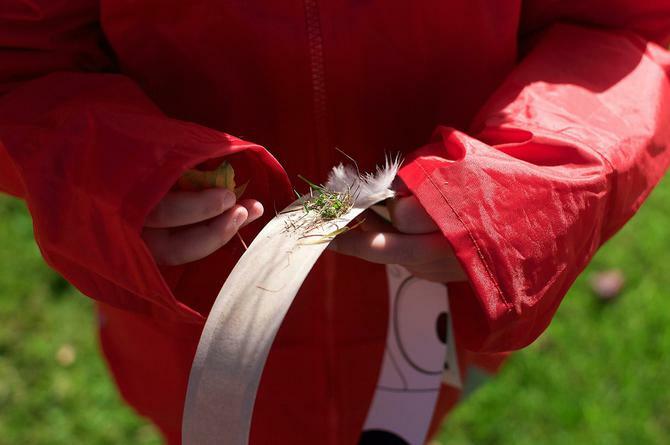 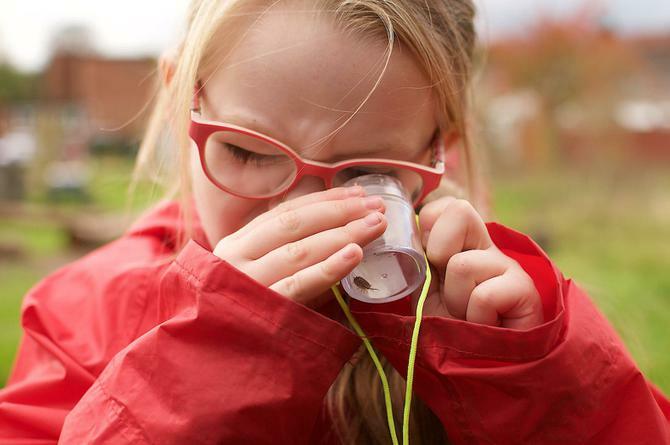 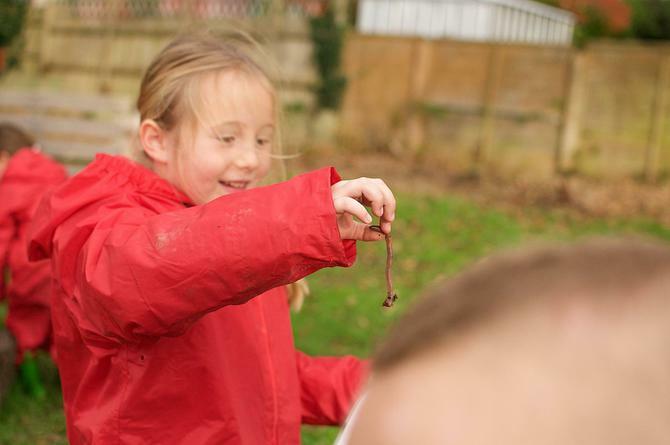 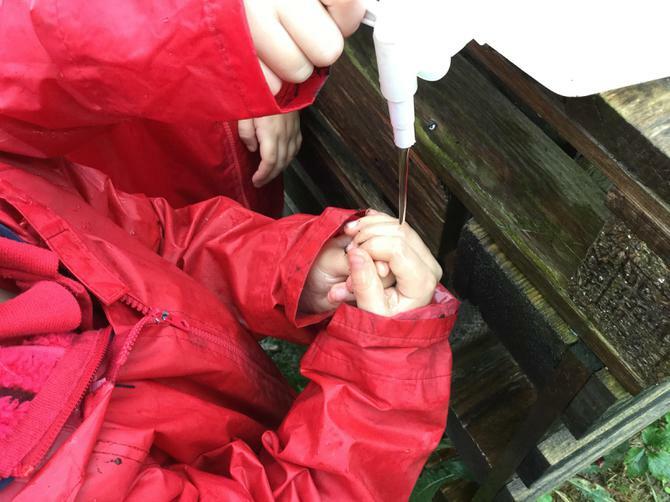 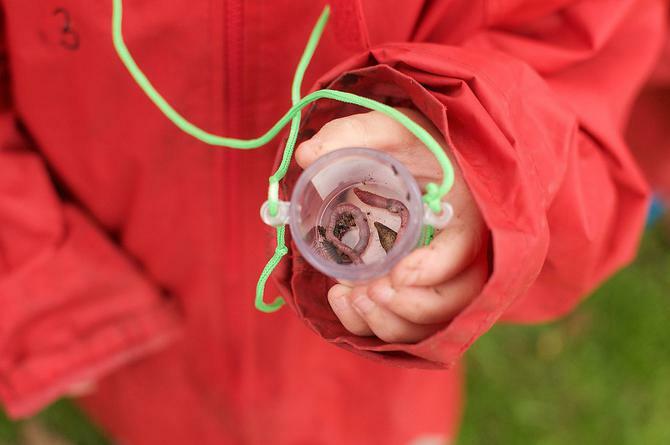 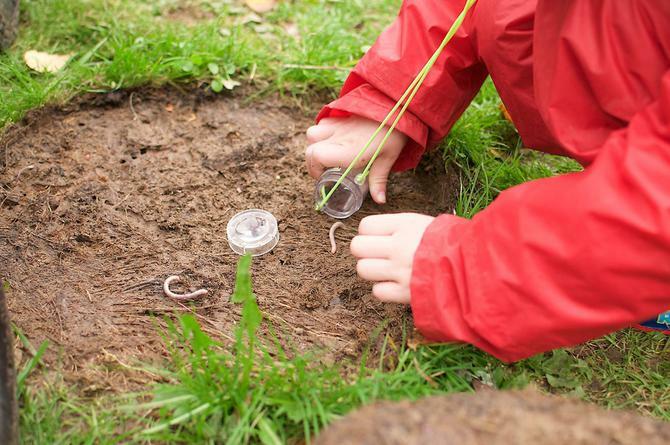 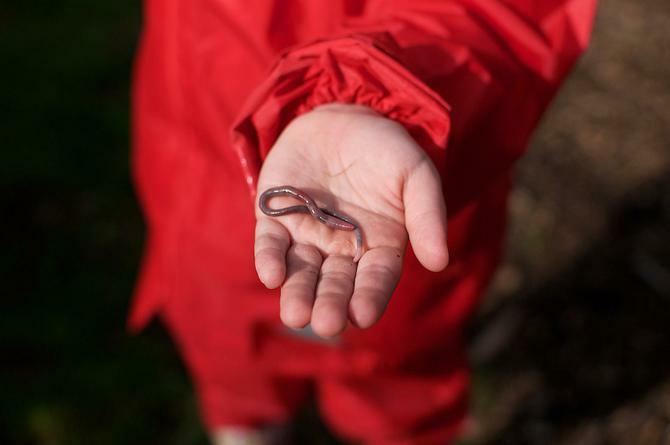 The children freely explored the area, adding anything they wished to create their unique headdress, we saw some brilliantly creative work, and even found time to meet some mini-beasts too. 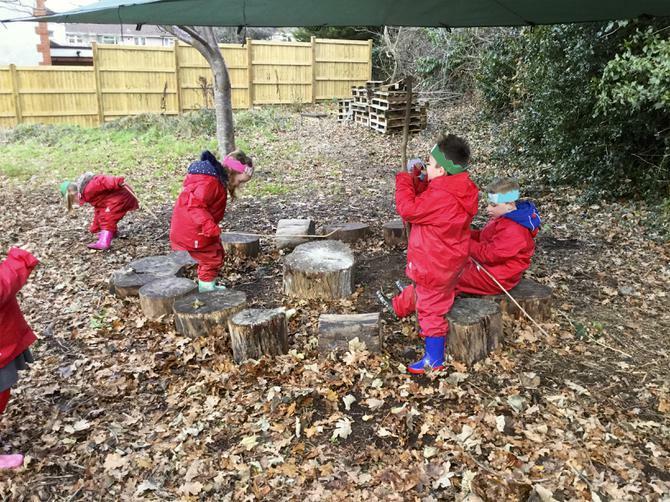 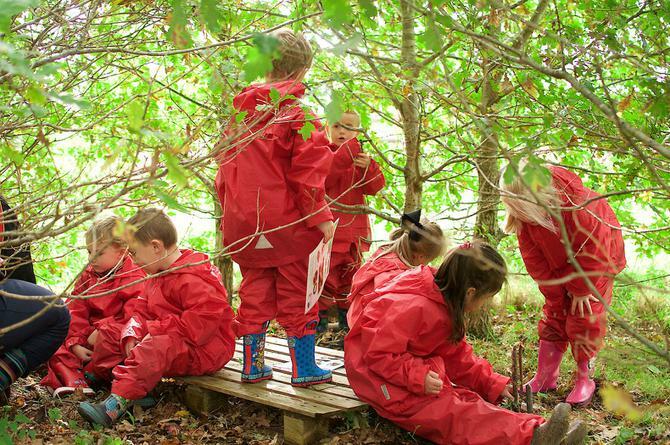 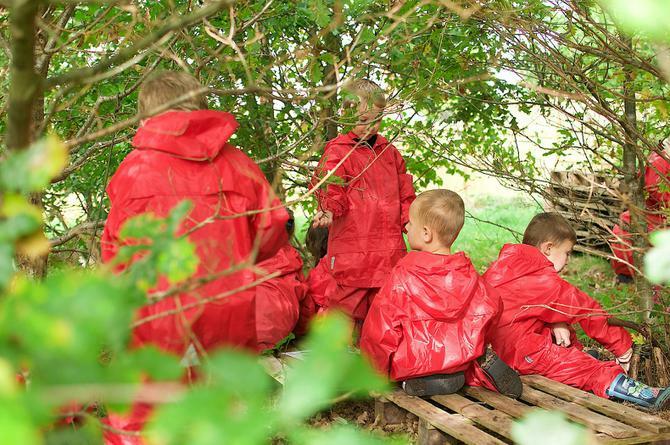 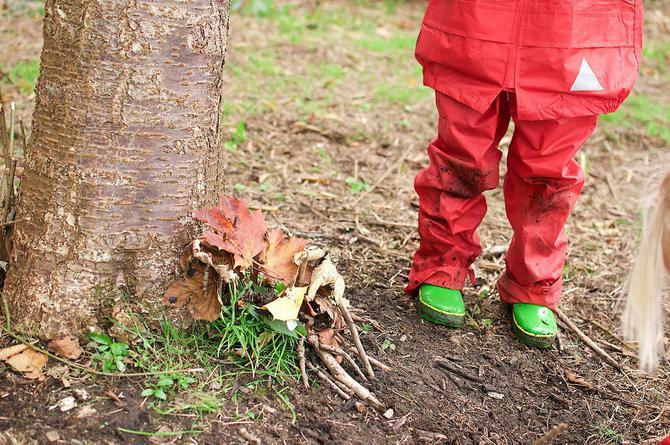 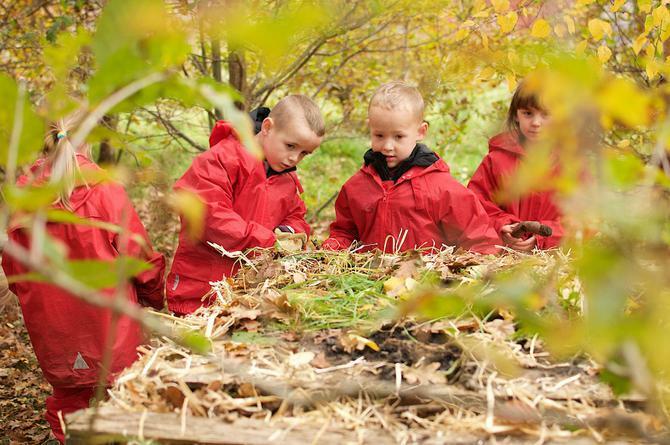 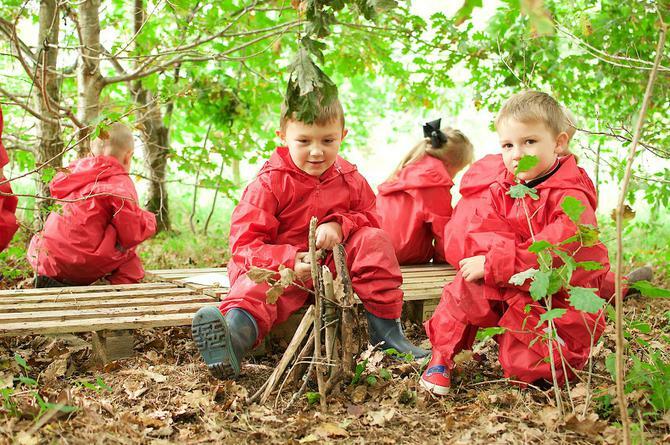 Session one today focused on staying safe at forest school. 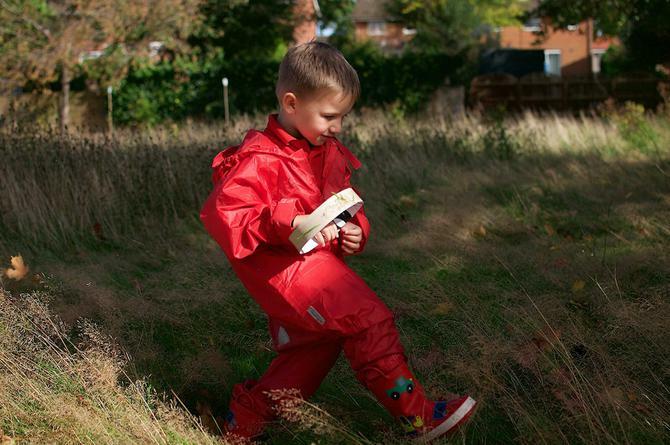 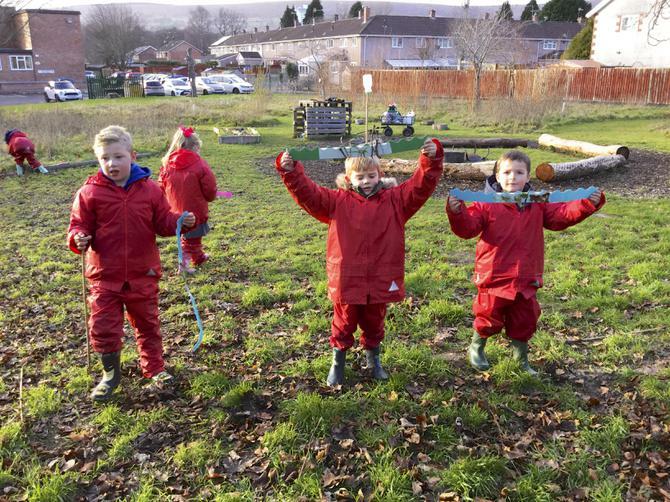 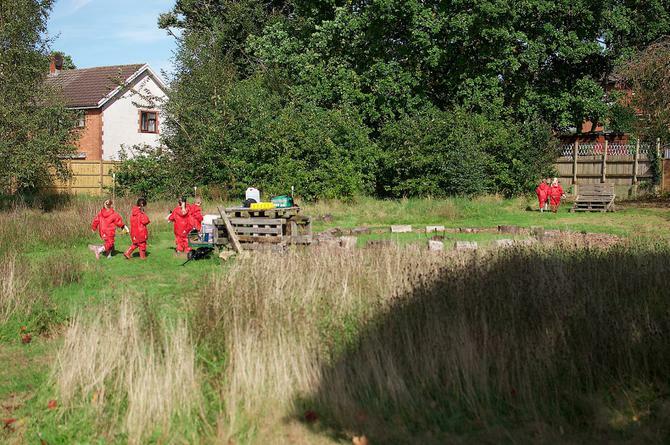 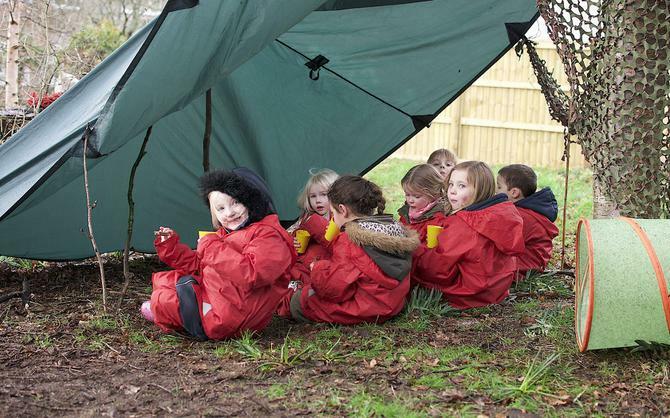 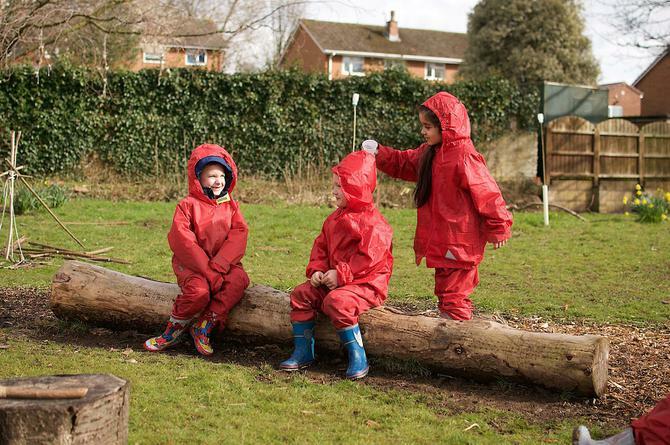 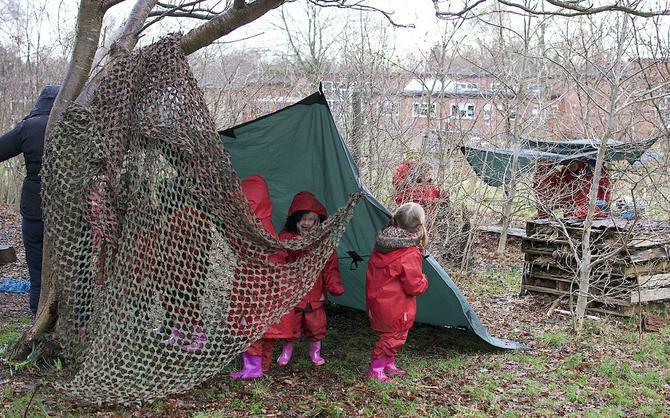 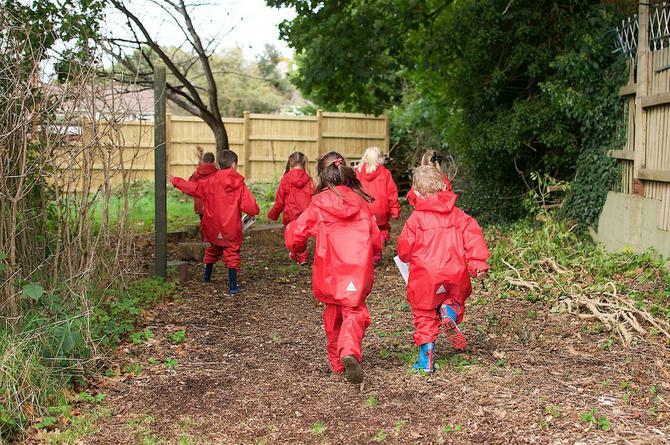 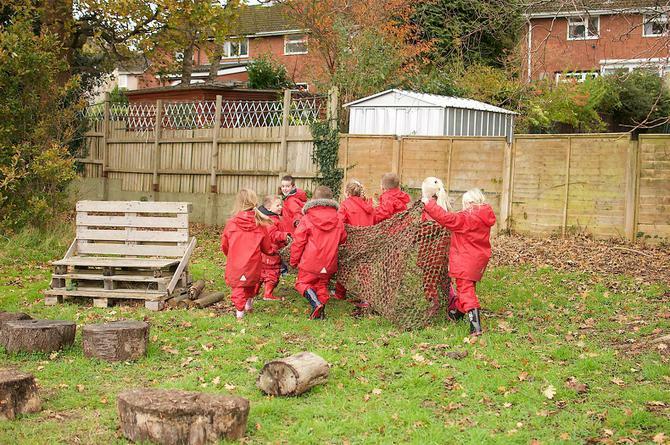 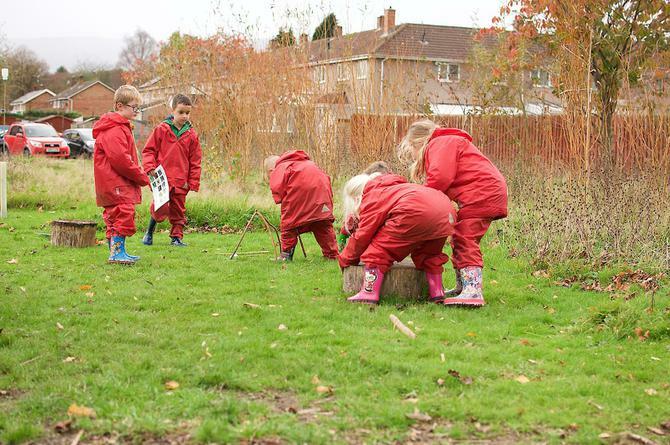 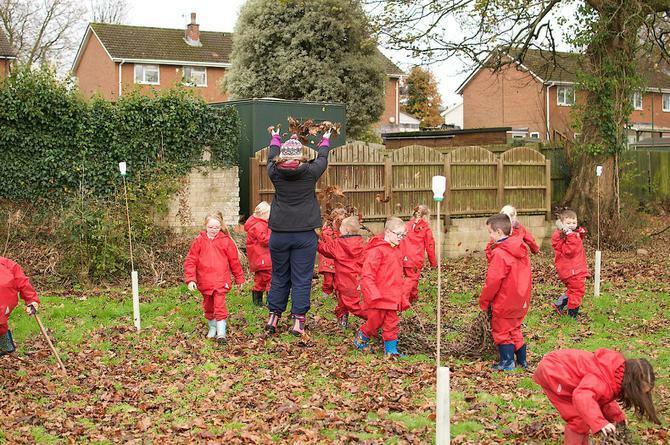 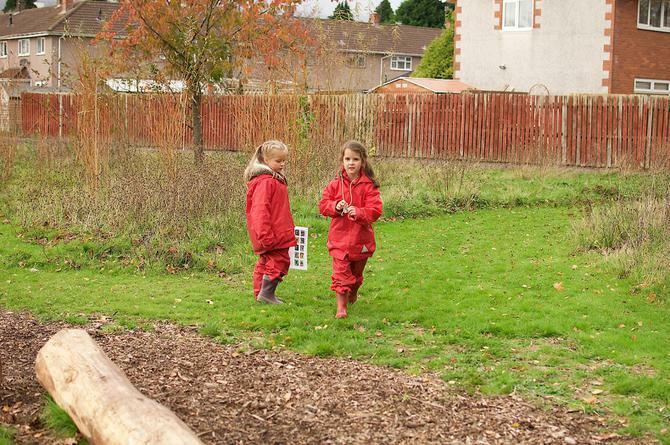 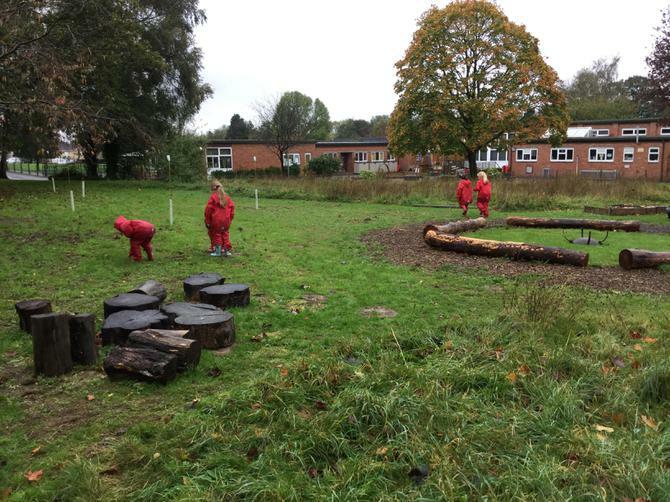 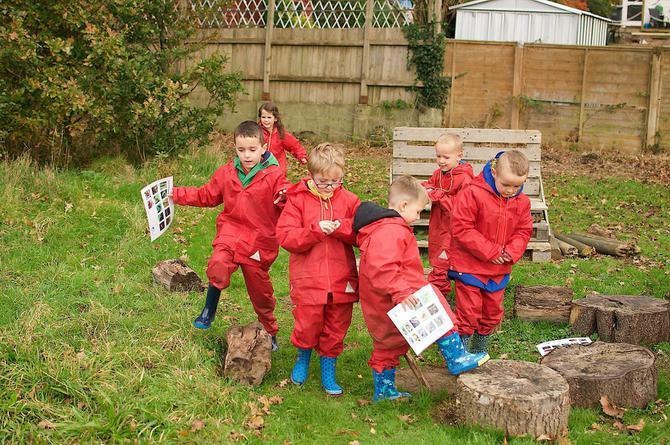 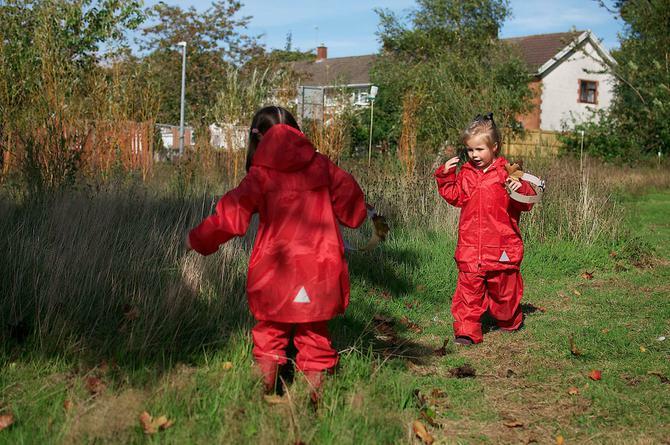 The children helped to set appropriate rules for working and playing outside and we explored the boundary of our site.